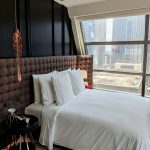 In March 2019, I checked into the Grand Harbour Corner Suite King at Rosewood Hong Kong, which is situated next to the Victoria Harbour waterfront in the Tsim Sha Tsui district. Taking up 43 floors in a new mixed use tower located at the former New World Centre on Salisbury Road, with the nearest MTR station being East Tsim Sha Tsui station, the property is an essential component of the new Victoria Dockside development which will comprise new shopping and retail concepts. 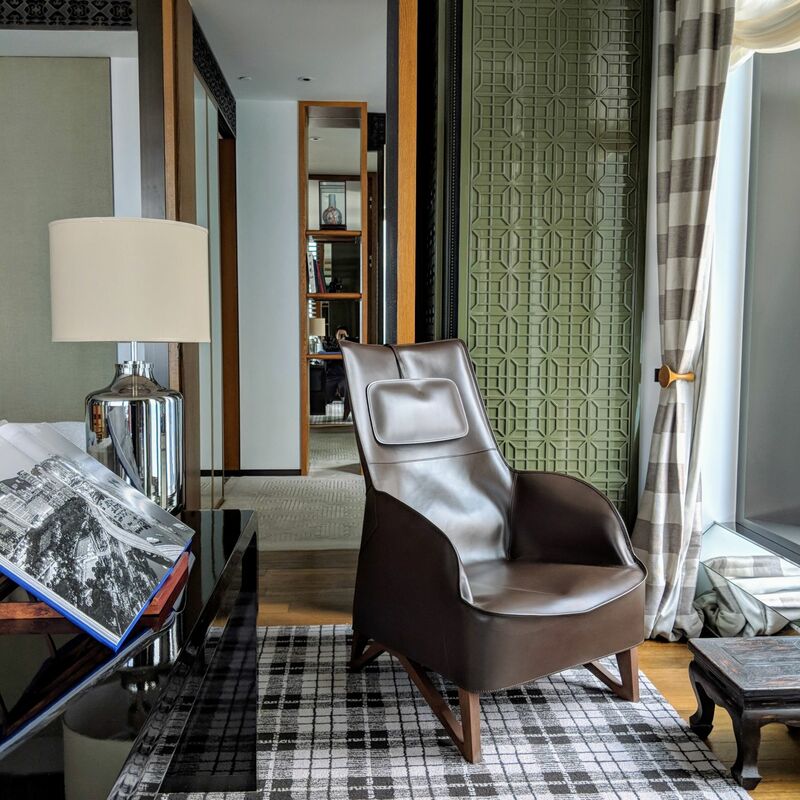 The launch of the 322-room hotel marks the debut of the Hong Kong-based brand’s first property in its home base, with the property being positioned as one of the definitive Rosewood experiences in the world. 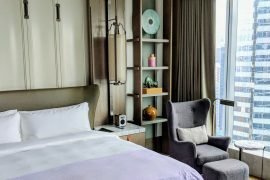 The hotly-anticipated opening of Rosewood Hong Kong is an exciting time for the ultra-luxury brand, which is known for their highly distinctive, luxurious and residential-style hotels inspired by the culture, history and geography of their respective locale (hence their tagline, “A Sense of Place”). 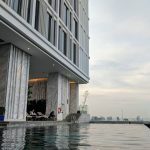 The opening kickstarts an ambitious series of Rosewood launches across the region, starting with the launch of Rosewood Bangkok a mere two weeks later. The UTW (“Under Ten Words”): Unparalleled, old-world regal ultra-luxury along Victoria Harbour. The must-dos (if any): Enjoy breathtaking harbour views from your room, spend the evening at The Manor Club, enjoy breakfast at Holt’s Cafe. The hotel’s impressive building architecture comes courtesy of Kohn Pedersen Fox Associates, the firm behind Marina Bay Financial Centre in Singapore, Roppongi Hills and Otemachi Tower (aka the Aman Tokyo building) in Tokyo as well as sister property Rosewood Bangkok in Thailand, with interior design by Tony Chi, who designed Andaz Tokyo and several Park Hyatt properties around the world. 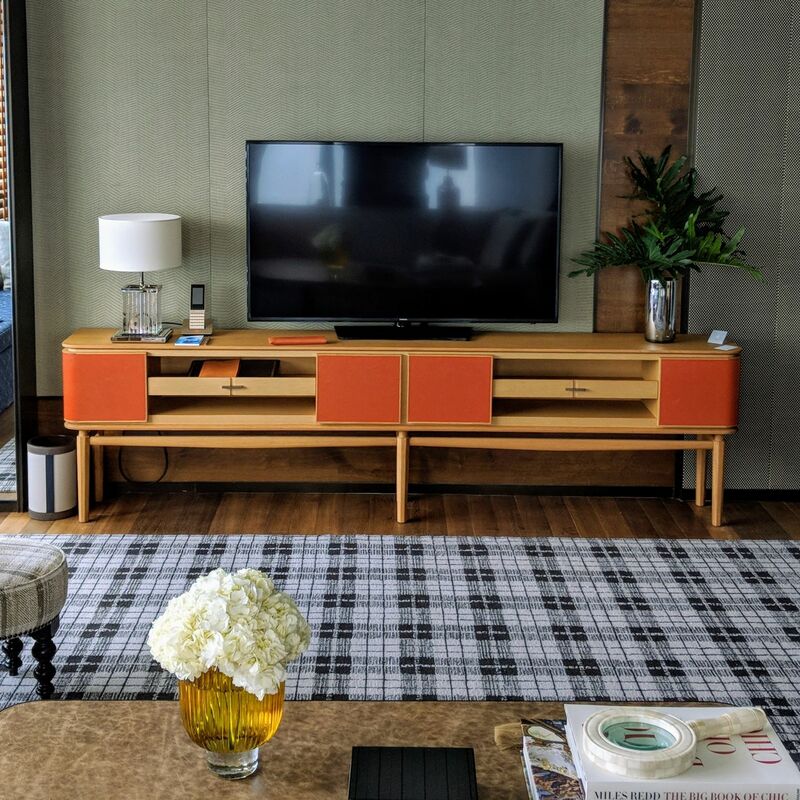 Rosewood’s ethos has always centred around residential-style experiences. 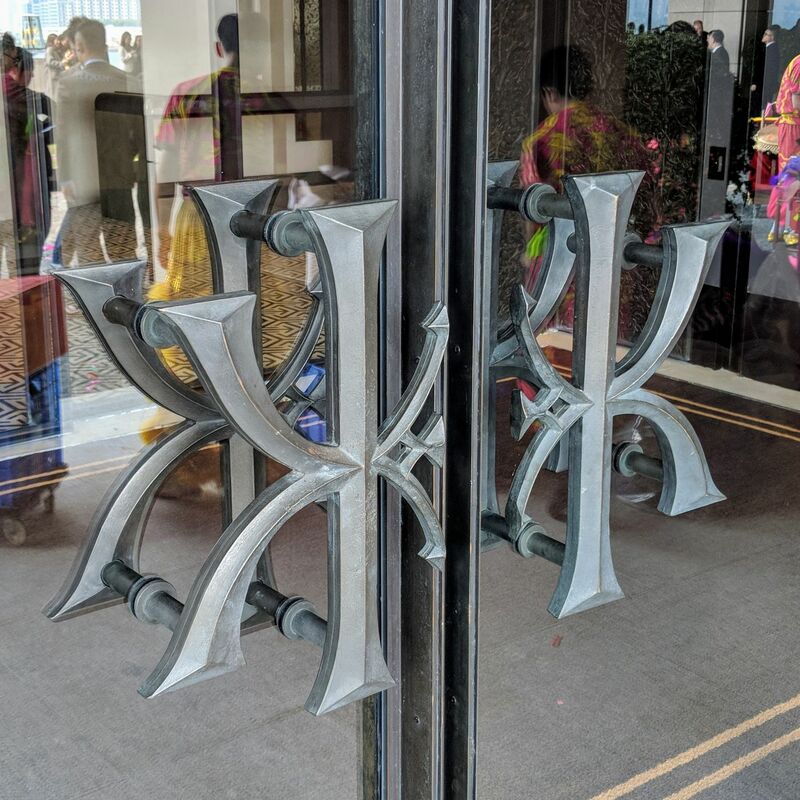 Eschewing grand, pompous chandeliers and similar welcome-centric pomp and circumstance, guest arrival is relatively low-key – the guest lifts are located directly in front of the entrance, with the concierge and reception counters inconspicuously situated on both sides of the lobby. 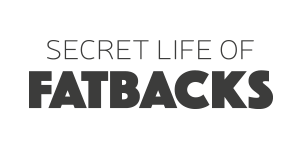 Save for the Manor Club experience where service is meant to be highly attentive and personalised, the service experience is highly discreet but responsive upon request. 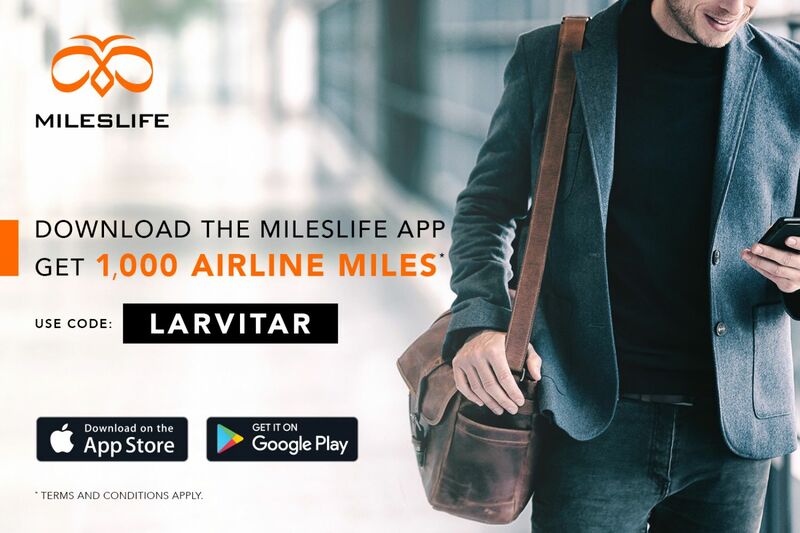 However, a low-key arrival experience does not mean the property compromises on the old-world grandeur and ultra-luxury associated with the Rosewood brand. The property houses numerous exquisite artworks throughout the property, most of them from the hotel owners’ private collection. A Henry Moore sculpture greets you at the driveway. 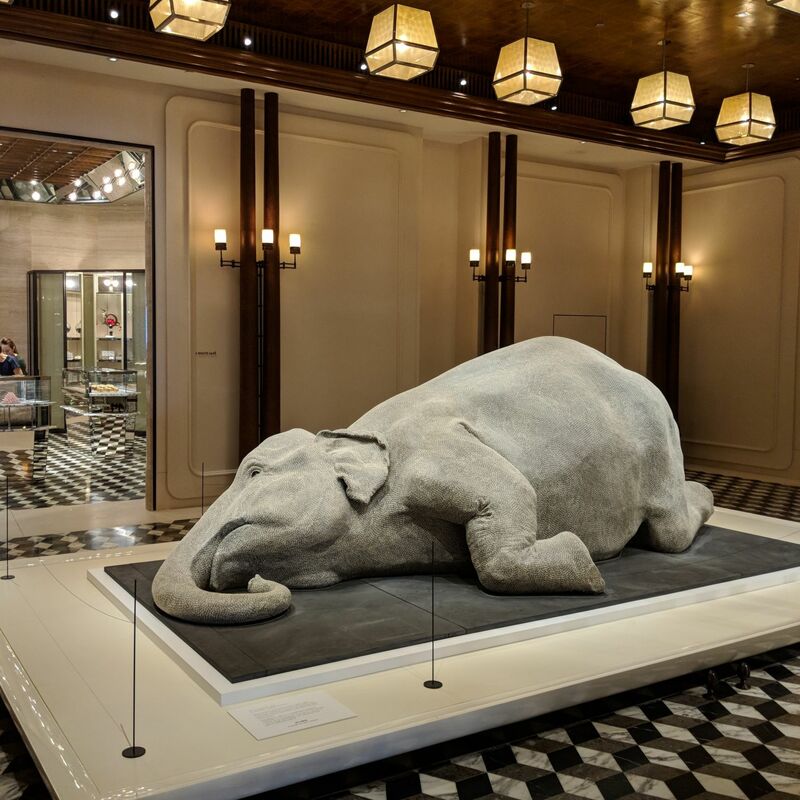 A gigantic elephant studded with white bindis (Bharti Kher’s The Skin Speaks A Language Not Its Own) lays feeble and helpless near the concierge, while stick-thin and ghostly twins with arms by their sides play guardian to an event space lobby. 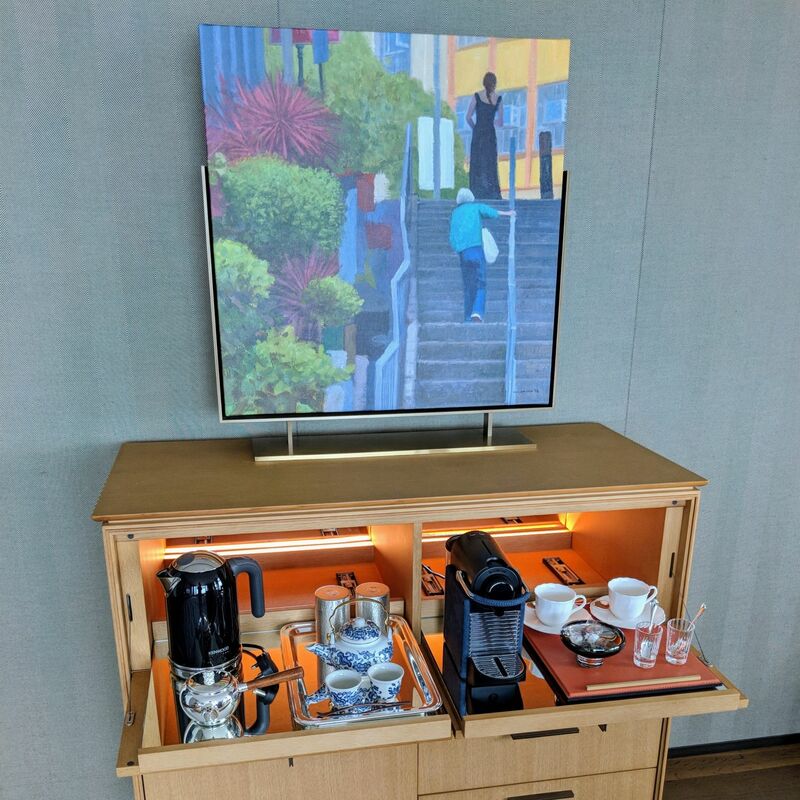 Contemporary sketches of Hong Kong’s skyline and city life – several of these with observational, satirical and/or playfully critical messages – decorate the various elevators throughout the hotel as well as adorn the walls of the guest rooms. Every floor surface throughout the hotel seems to incorporate tessellations and patterns from math textbooks and optical illusion puzzles alike. 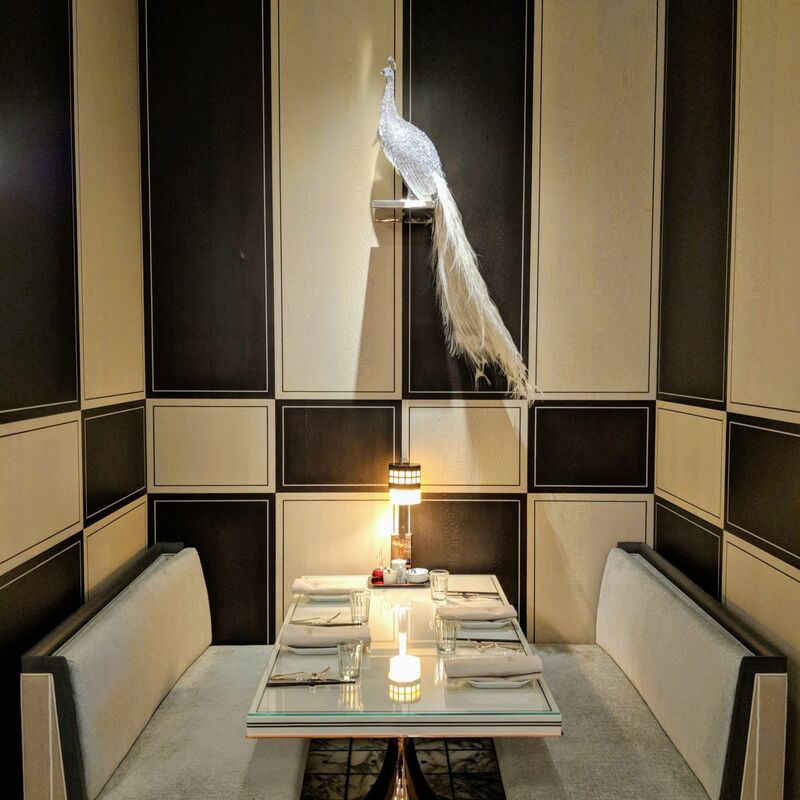 Swarovski crystals stud the peacocks installed above dining booths at the hotel’s Chinese teahouse concept, Holt’s Cafe, while somewhere an Hermès fabric wall exists. 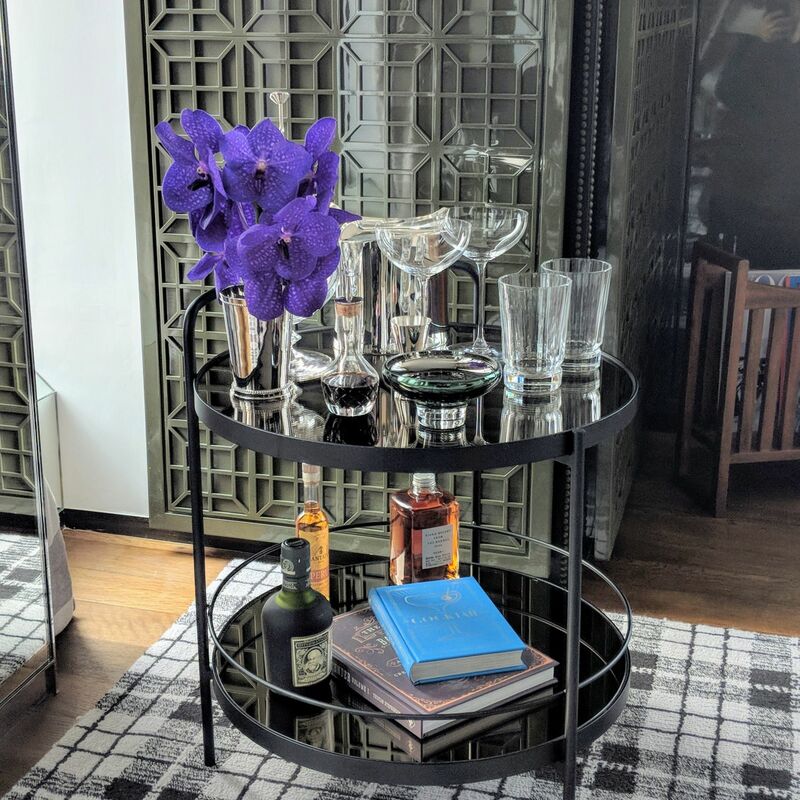 Another interesting feature of the property which lends to the concept of residence and home is the location of salons at the lift lobby of every guest floor of the hotel. 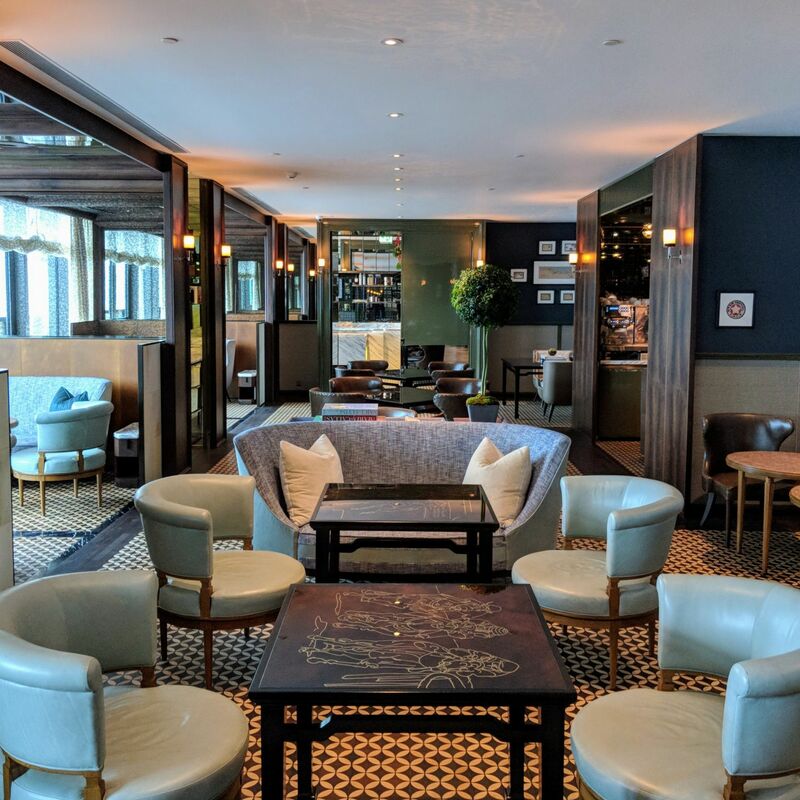 Furnished with plush seating and cabinets displaying various decorative pieces, and regularly stocked with light refreshments (and in the evening, tipples served by the trolley), these salons create a comfortable, warm environment which aims to encourage convivial guest social interactions. On the fitness front, the hotel houses the first urban outpost of the brand’s signature integrative wellness offering, Asaya, which offers a range of alternative therapies and rituals. Spanning two dedicated floors, Asaya will cater not only to in-house guests but also local residents. The spa includes beautiful verdant spaces, a 25m outdoor infinity pool which toes the line happily between pool edge and beyond, specialty wellness suites, a state-of-the art and impressively equipped fitness facility (some of the Technogym machines are the newest in the market), nail boudoir and a lifestyle retail and dining concept. 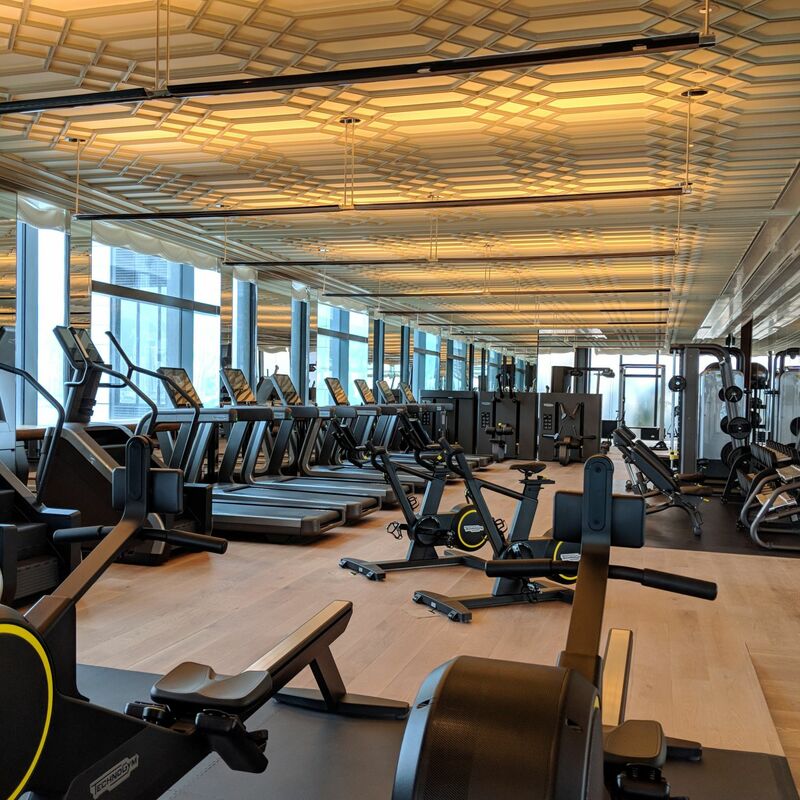 Asaya is scheduled to fully launch in the first half of 2019, with only the fitness centre being available to guests as of launch date. 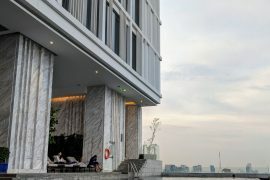 The property also hosts Rosewood Residences on the tower’s higher floors for longer-stay guests. These residences have their own dedicated entrance, private sky terraces, club floor facilities, pet care options as well as an indoor swimming pool and fitness centre. 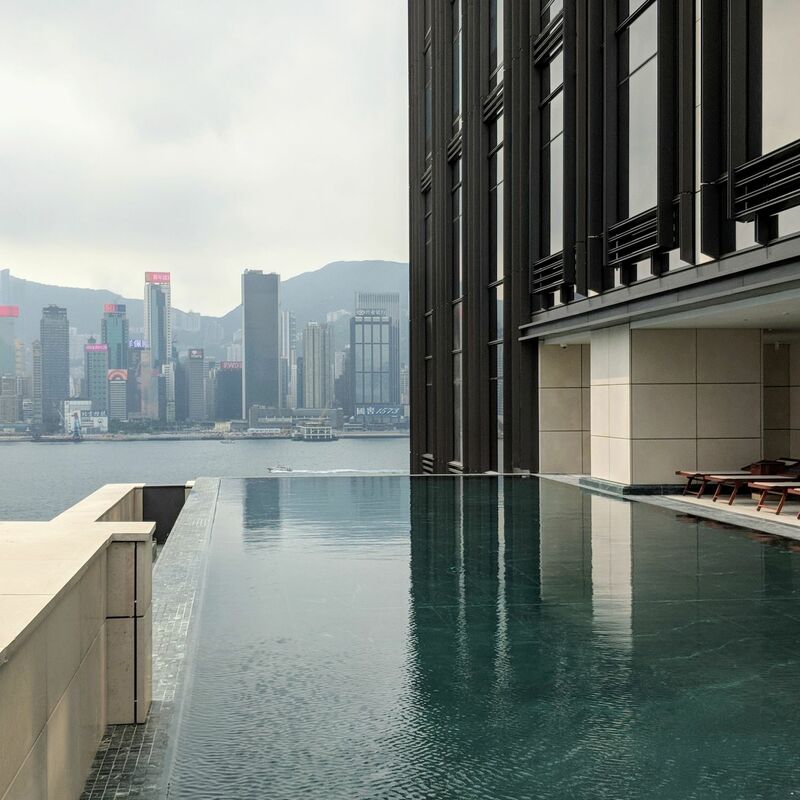 Infinity Pool (Rosewood Hong Kong). 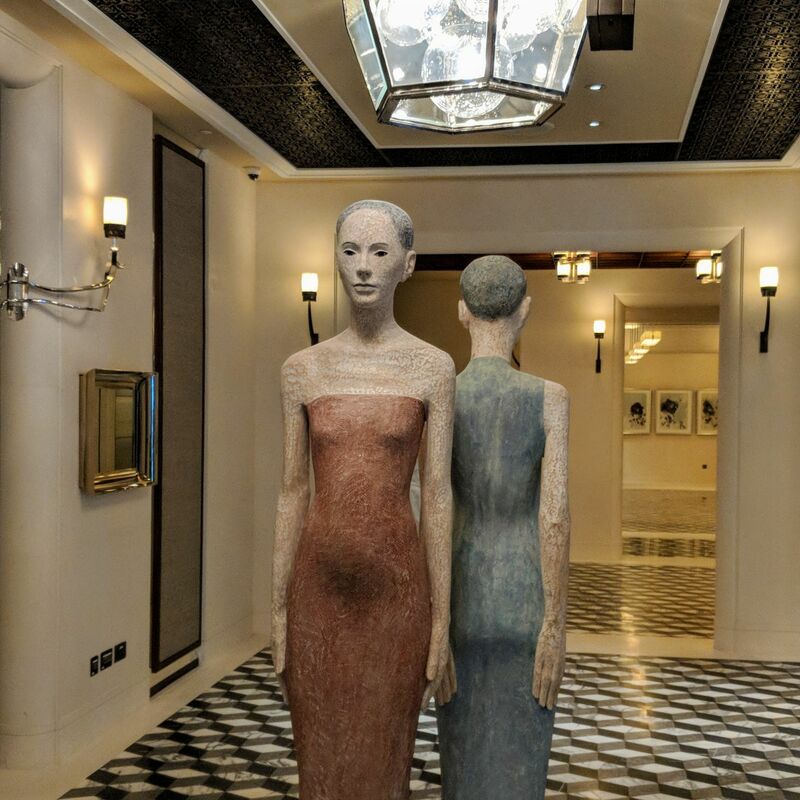 Artwork, Lobby (Rosewood Hong Kong). 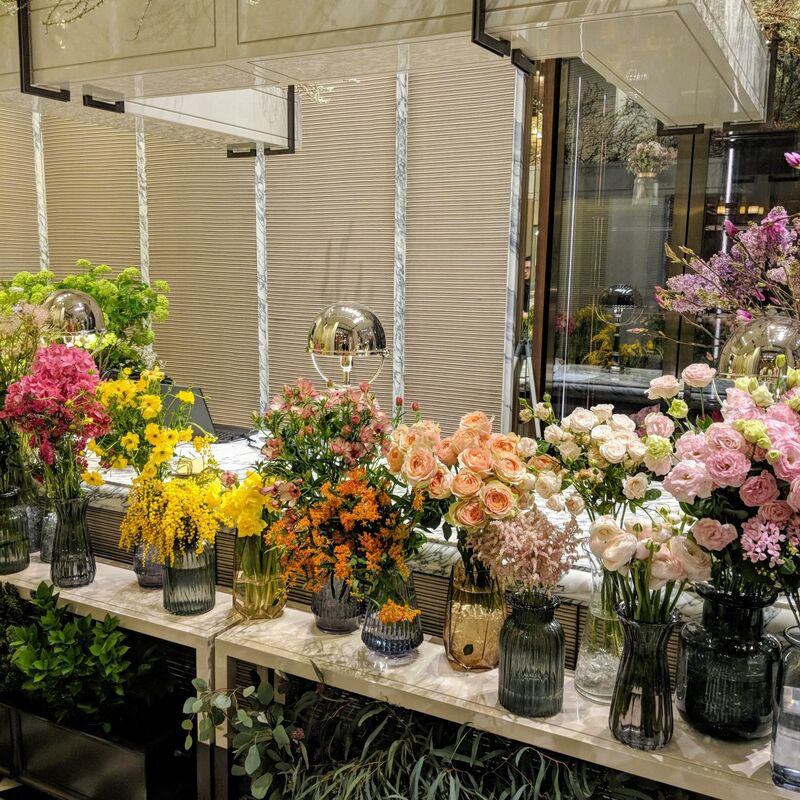 Floral Boutique (Rosewood Hong Kong). Artwork, Grand Ballroom (Rosewood Hong Kong). 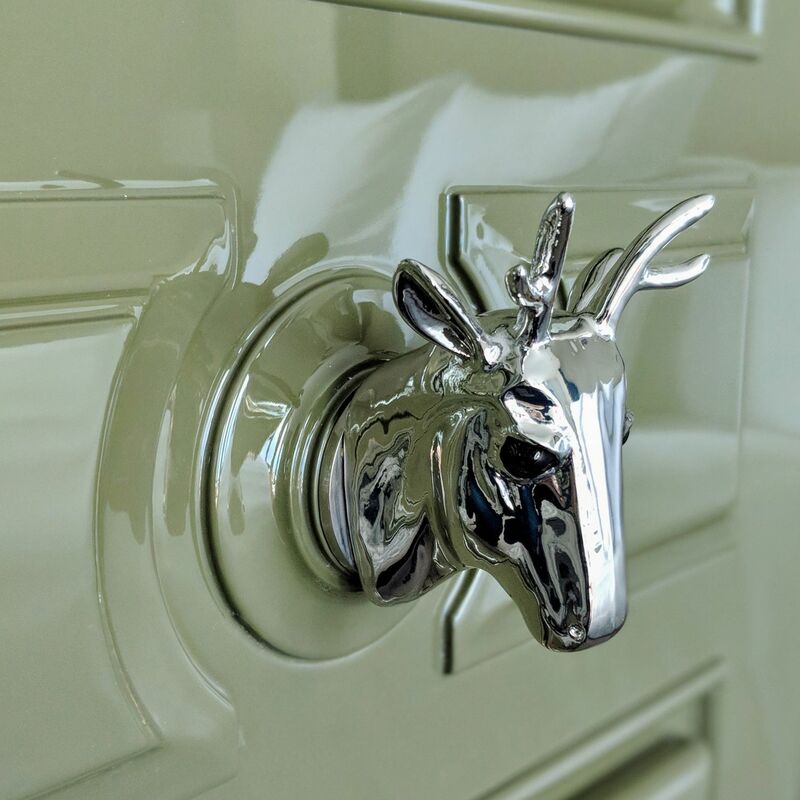 With breathtaking views of Victoria Harbour (so close that you see the edge of the water when you peer down), the 123sqm Grand Harbour Corner Suite King is gargantuan (especially by Hong Kong standards), playing it all texturally varied, tessellation and pattern diverse as well as olive green, moosehead trophy-doorknob and gingham regal in its stylings. 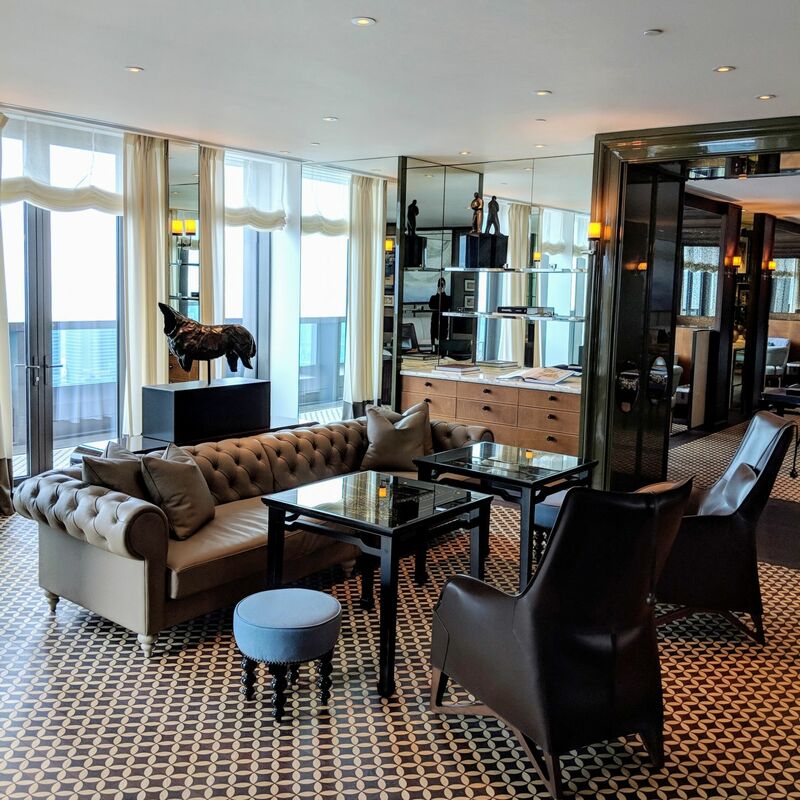 Suite guests enjoy personalised butler service, although the room is so well appointed and equipped that you would seldom require any assistance. 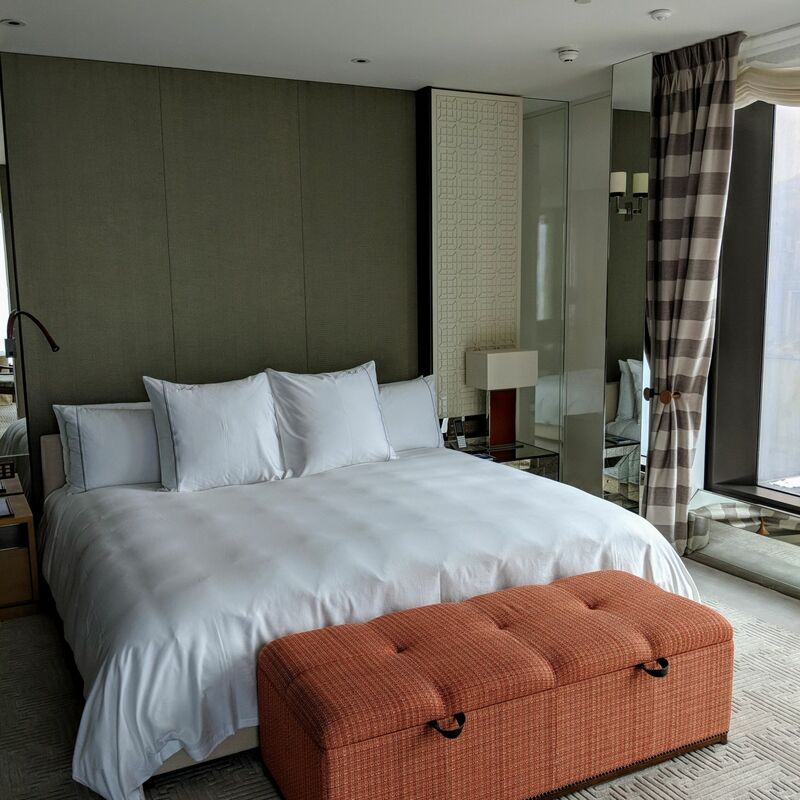 The bedroom is equipped with a California King bed for additional tussling and rolling space, as well as an intriguing bedside book depicting various Hong Kong scenes which will be flipped to a different page daily during turn-down service. Elsewhere, the double walk-in closet comes with a dresser equipped with a Dyson hairdryer and various exquisite grooming amenities. 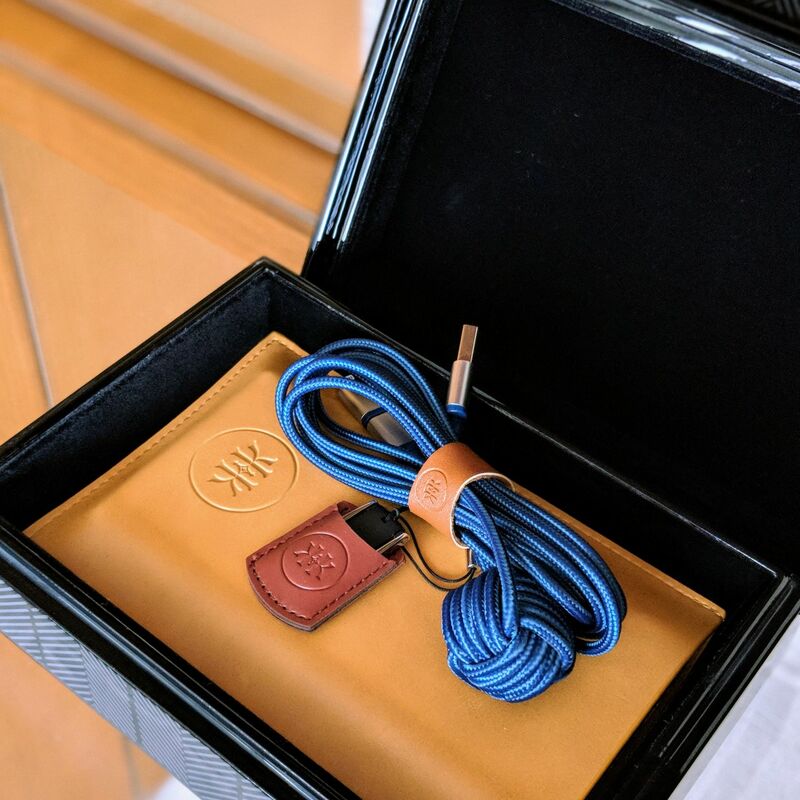 To ensure the suite guest experience is seamless and complete, the suite comes with electronic amenities such as a power bank, USB cable and memory stick as well as a messenger sling bag, all of which are either made of leather or comprising leather casing or elements. 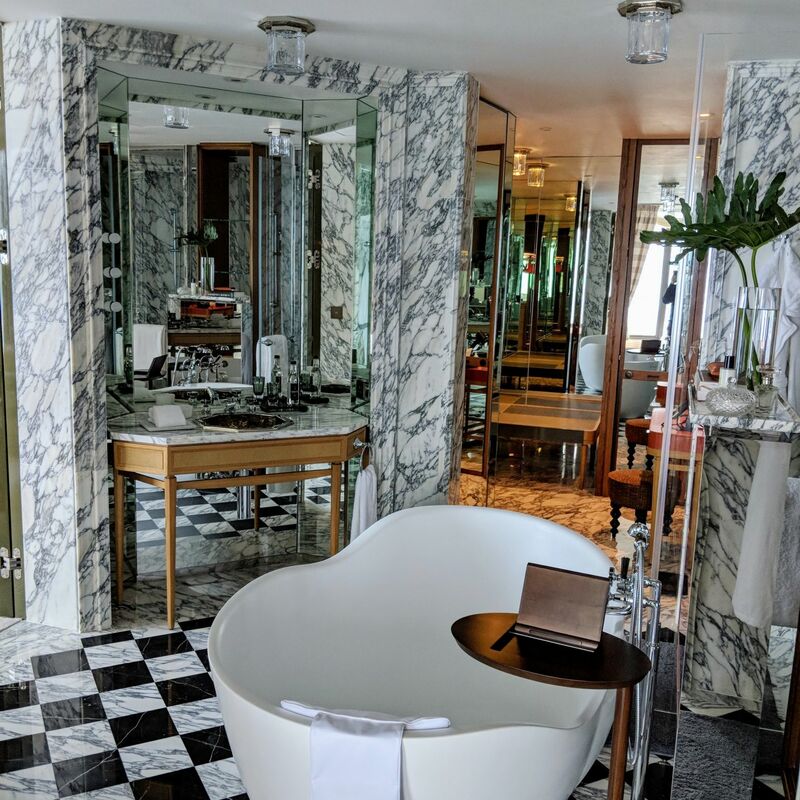 The marble bathroom features double vanities and a double shower with rainshower facilities, while the freestanding bathtub can be enjoyed with the bath oil and bath salt provided. Bathroom amenities are from the À L’Aube Des Sens range from Maison Caulières, a luxurious French wellness brand, and possess the fragrance of a luxurious Six Senses-esque resort spa meets a posh high-end Parisian fashion boutique. 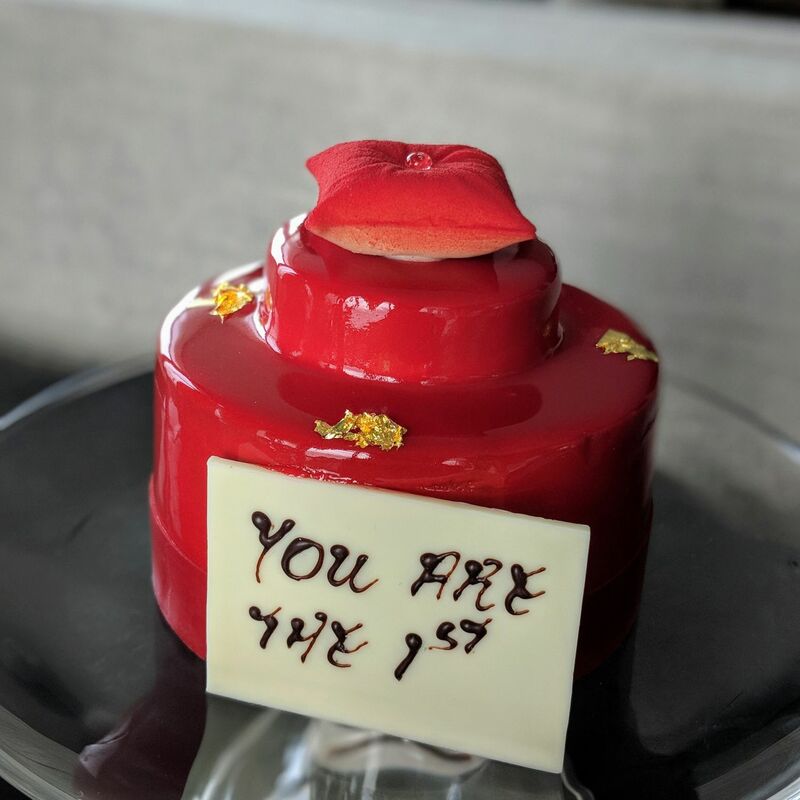 I was the first ever guest to check into the property, and the hotel thoughtfully prepared little gestures to make my stay experience that little bit more special. 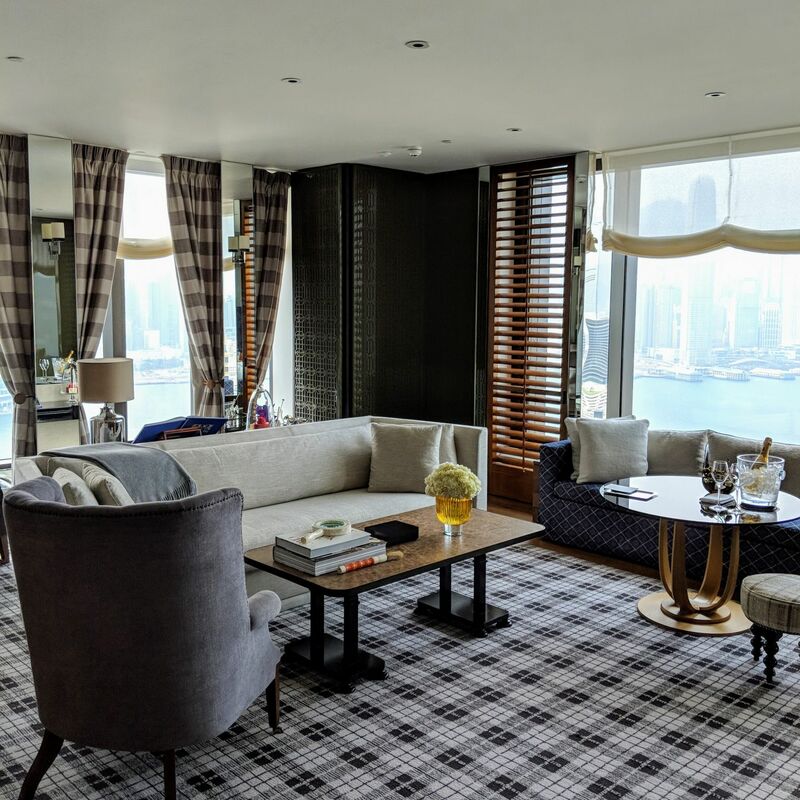 Living Room, Grand Harbour Corner Suite (Rosewood Hong Kong). 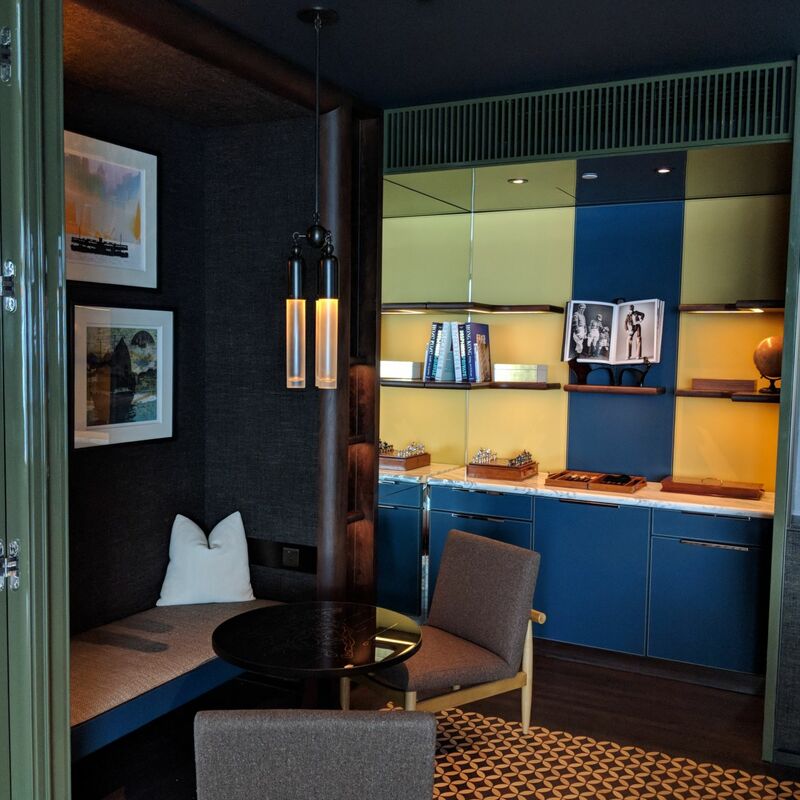 Pantry, Grand Harbour Corner Suite (Rosewood Hong Kong). 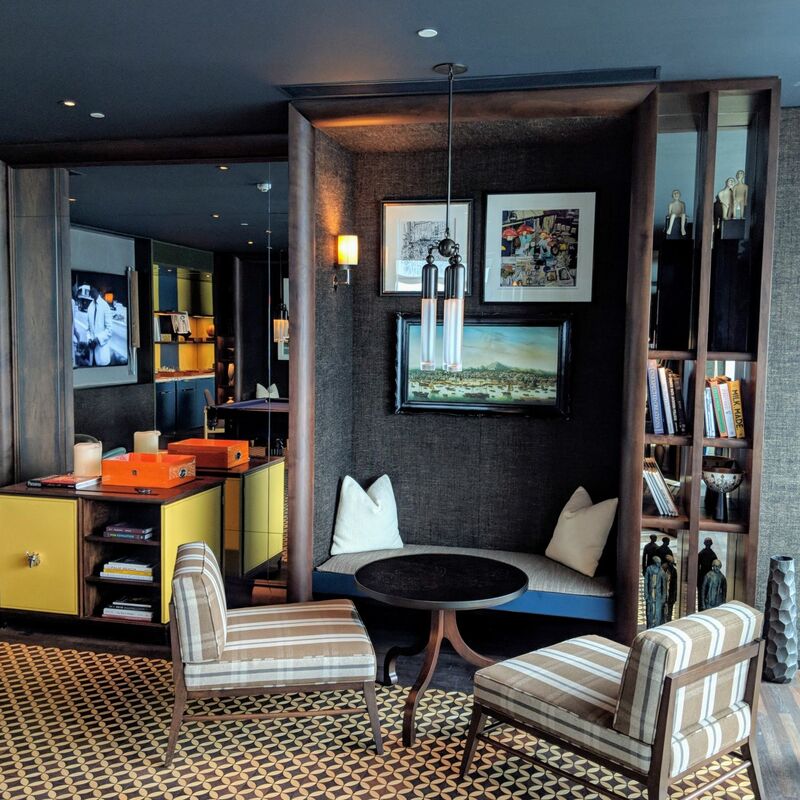 Den, Grand Harbour Corner Suite (Rosewood Hong Kong). 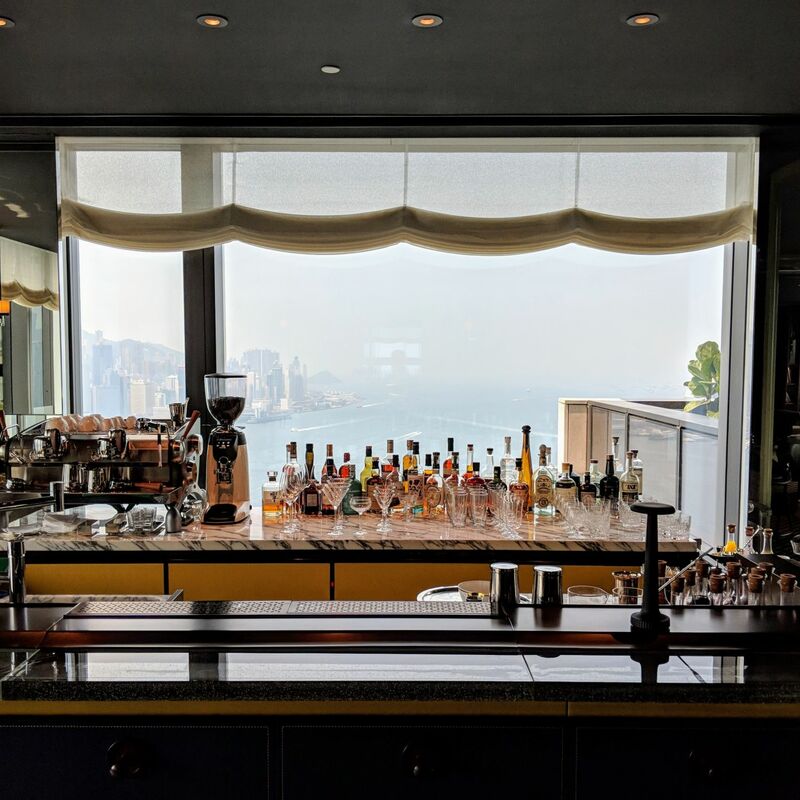 Night Bar, Grand Harbour Corner Suite (Rosewood Hong Kong). 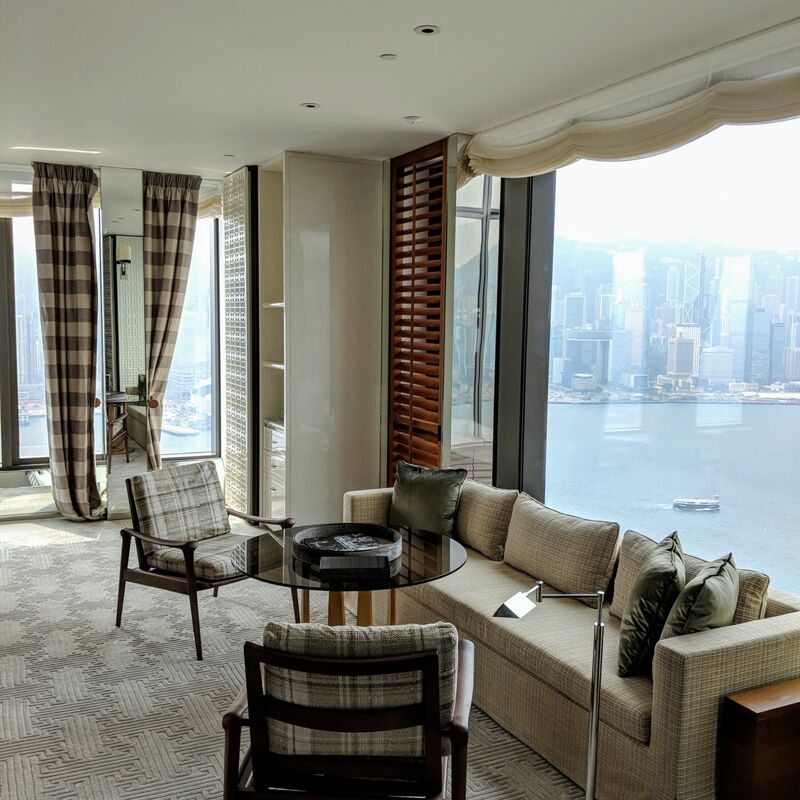 Bedroom, Grand Harbour Corner Suite (Rosewood Hong Kong). 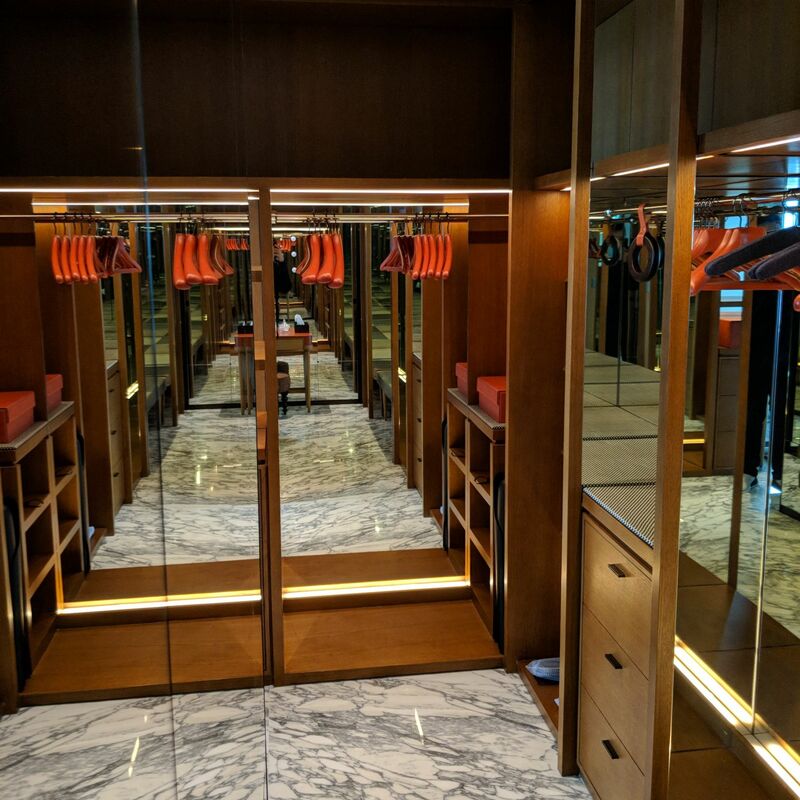 Walk-In Closet, Grand Harbour Corner Suite (Rosewood Hong Kong). 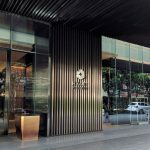 Electronics, Grand Harbour Corner Suite (Rosewood Hong Kong). 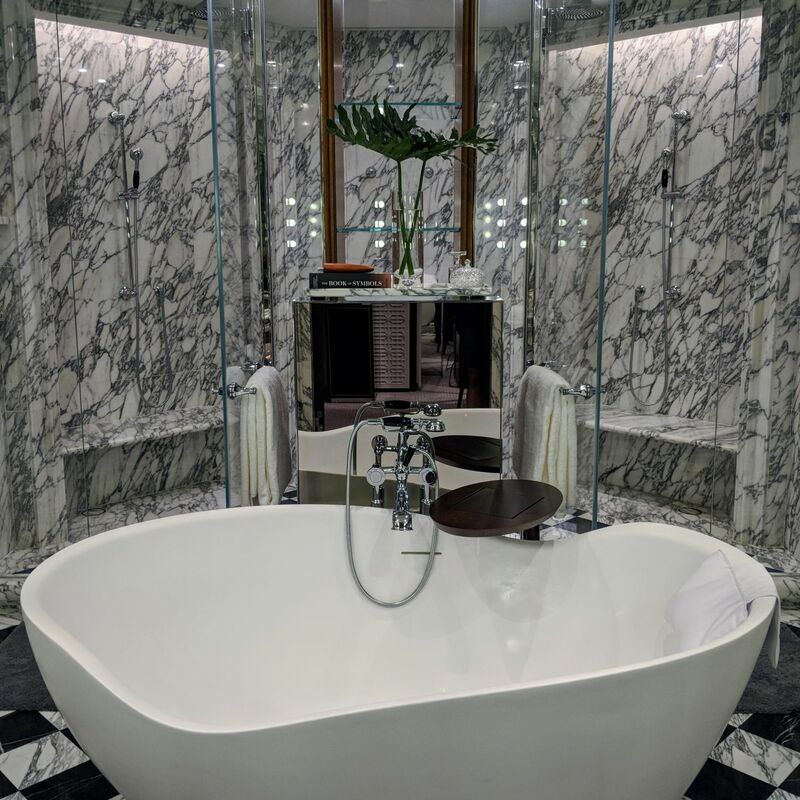 Bathroom, Grand Harbour Corner Suite (Rosewood Hong Kong). 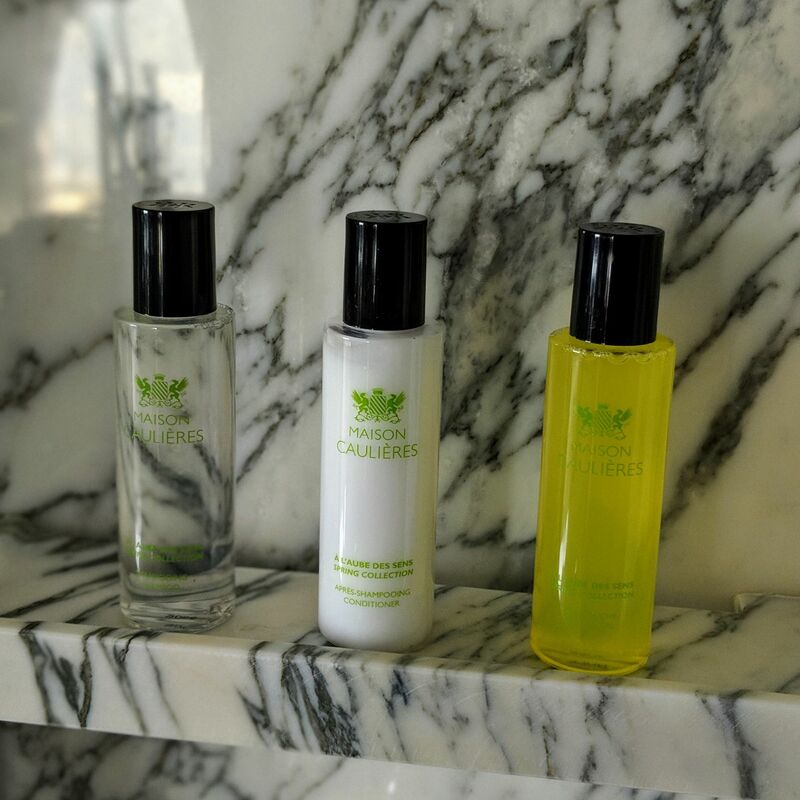 Bathroom Amenities, Grand Harbour Corner Suite (Rosewood Hong Kong). Doorknob, Grand Harbour Corner Suite (Rosewood Hong Kong). Welcome Amenity (Rosewood Hong Kong). 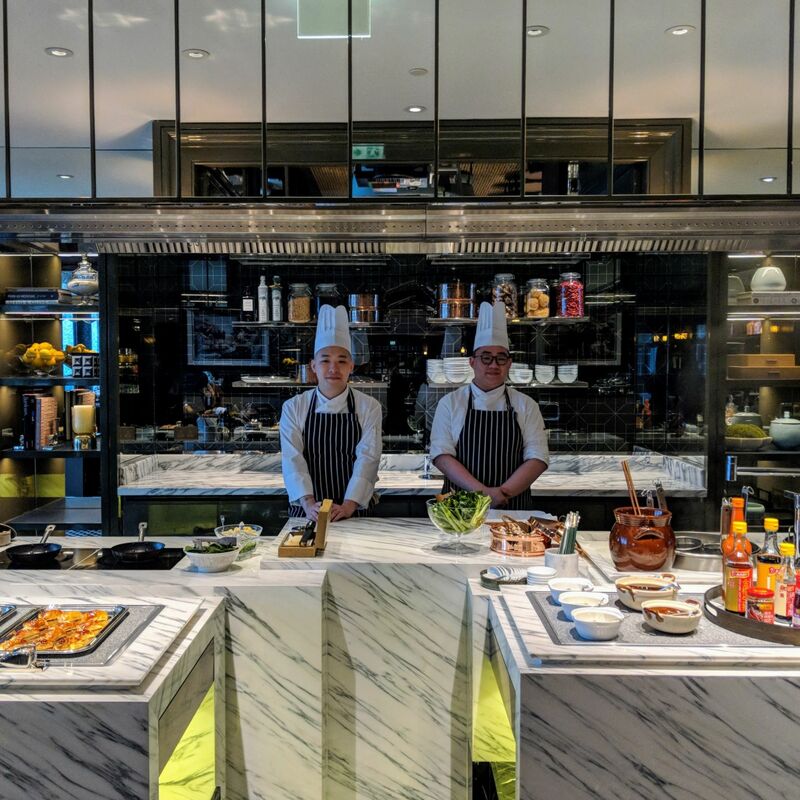 Breakfast is served at Holt’s Cafe, the hotel’s all-day dining concept on the lobby level that reimagines the traditional Chinese teahouse concept as a contemporary Hong Kong cuisine destination which exudes class and sophistication. 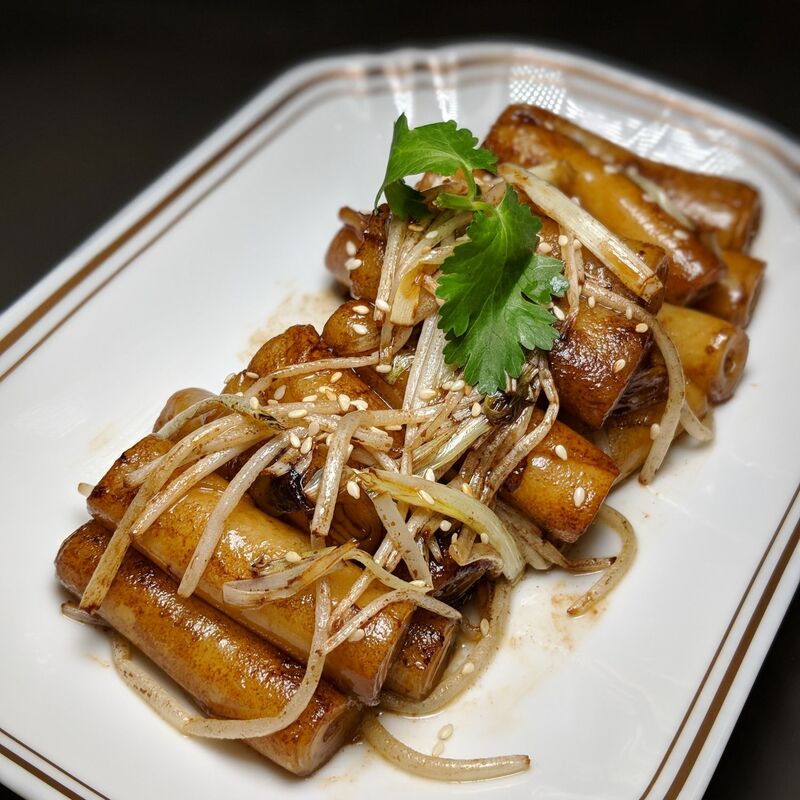 The a la carte Hong Kong Specialties such as their Assorted Dim Sum, Wonton Noodle Soup (which is also served at Manor Club) and Cheong Fun with Soya Sauce are reliably delectable, but the showstopper is the unassuming Pan-fried Turnip Cake with housemade XO Sauce – the former comprises surprise bits of coolly succulent turnip, while the XO sauce is a tour-de-force of flavour possessing a shredded chewiness, deeply shrimpy saltiness and an uncharacteristically spicy edge. Elsewhere, traditional Western options are available – think eggs prepared in any conceivable way imaginable, pancakes, waffles, French toast as well as an indulgent Angus Beef Minute Steak. 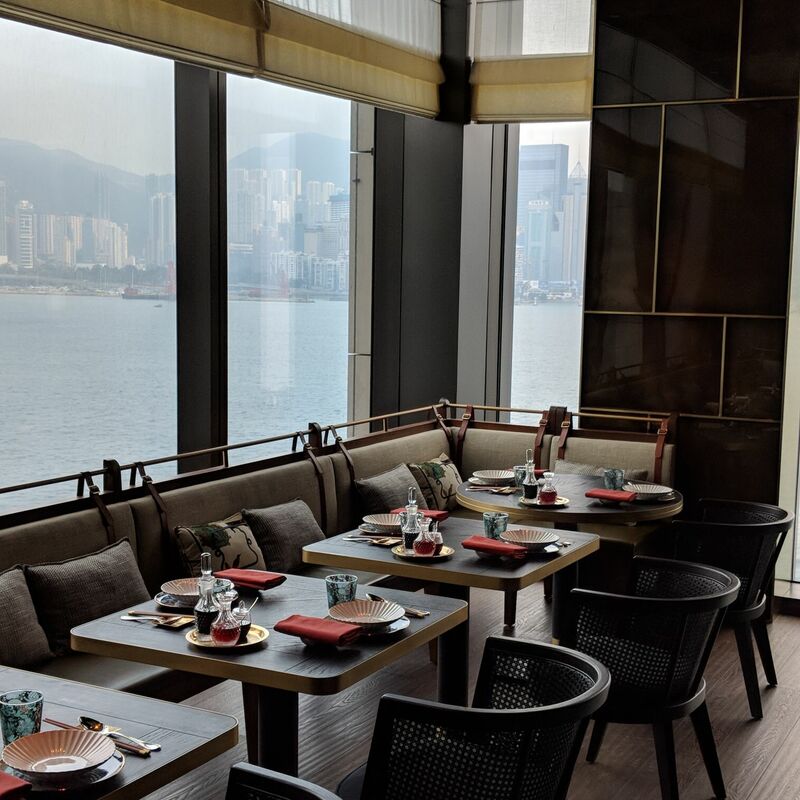 Situated on the 5th floor and boasting stunning views which overlook Victoria Harbour, The Legacy House serves refined Cantonese cuisine in a contemporary setting, with both space and cuisine paying tribute to the patriarch of the hotel owners’ family, who was born in rural Shunde in Guangdong. Despite not playing things particularly post-modern or with a twist, the dining experience offered numerous surprises. Whilst being somewhat on the pricier end of the spectrum in terms of portion, the Chef’s Signature Barbecued Combination was competent, with the skin of the roasted suckling pig possessing that magic ratio of razor crisp to fatty stickiness. 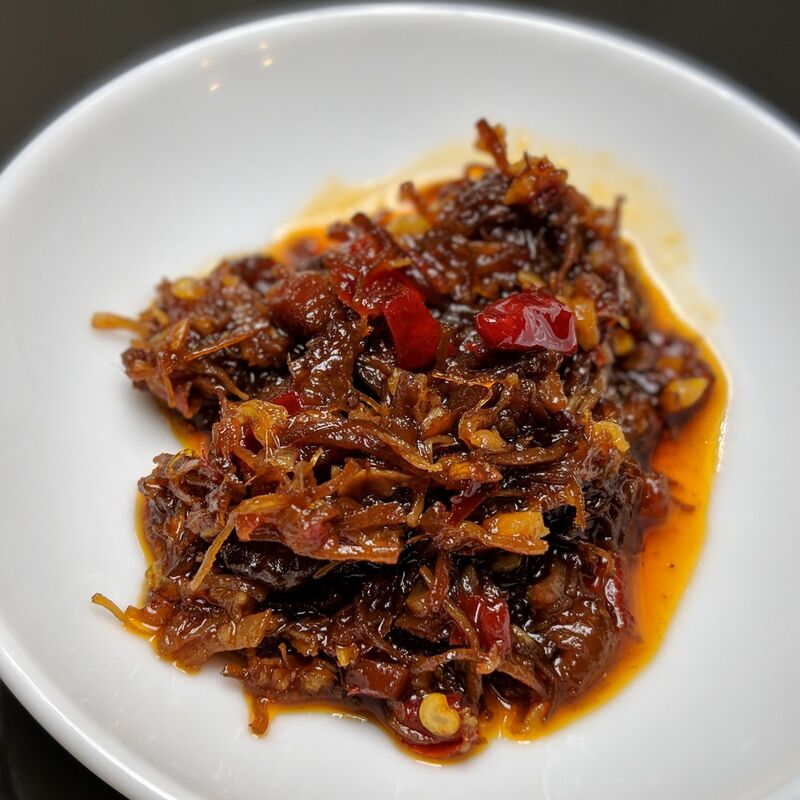 The Deep-Fried Spicy Beef with Nuts (which the staff at Manor Club heavily recommended) played it all satay (sauce) meets Sichuan mala spice, with each individual piece being distinct from each other in terms of how fatty, chewy and beefy it is. The Pan-fried Seafood Pancake was less Korean than it was Indian egg prata-esque, while the Shunde-style Braised Fish Ball, Minced Pork and Turnip Pumpkin Sauce was the undisputed highlight of the evening, being not so much fish balls in the conventional sense as they were balls of magnificently fresh, soft and tender fish, accompanied by a suitably sweet sauce that is almost salted egg yolk-esque in consistency. 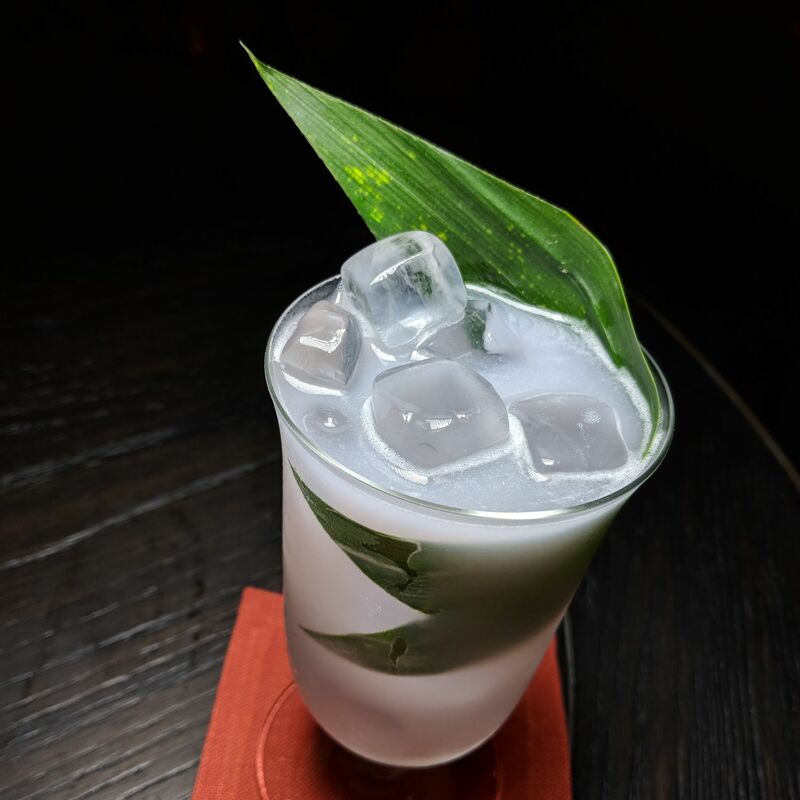 I had a cocktail, Wu Tou (vodka, taro, lychee, pandan), which certainly needs to apply for a senior position with ShareTea. 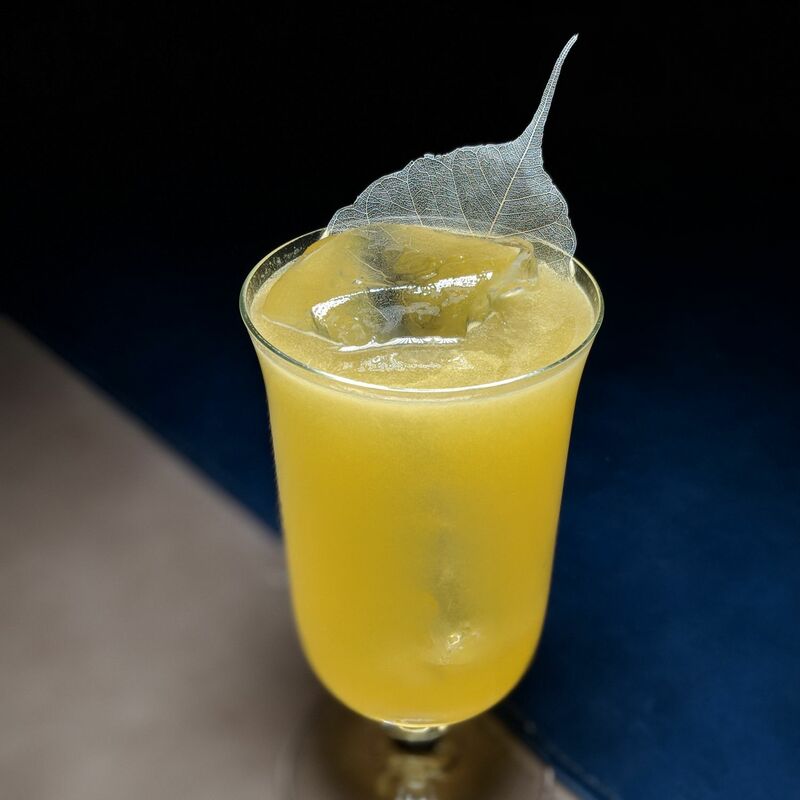 On the tipples front, DarkSide serves creative, 19th century-inspired cocktails in a laid-back yet vibey setting – live jazz musicians perform while colourful suspended hourglasses rotate and shift sand overhead. The cocktails I tried may have intriguing premises – 40 Square Feet (plantation dark rum, campari, bitters, mancino vermouth rosso, plum, bitter chocolate, ambergris) promises to be a chocolatey Negroni send-up while The Yamen (pierre ferrand cognac, wax, raw honey, bee pollen, osmanthus, frankincense) evokes memories of similar honey-centric concoctions I had at Old Man Singapore as well as Bar Trigona at Four Seasons Kuala Lumpur – but fell short of expectations, largely due to their sugar-forward approach and how the easy-going drinks did not appear to gel perfectly with the sophisticated, vintage cigar-esque vibes of the space. I much prefer the tipples I had at The Manor Club (below) which were, in contrast, spirit-forward and quietly confident. 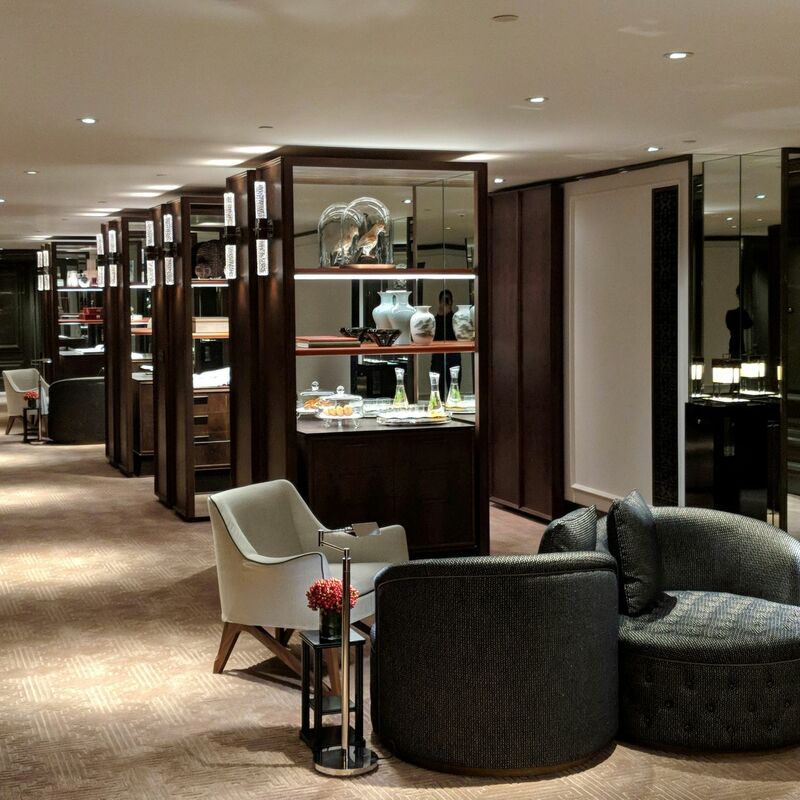 Elsewhere, The Butterfly Room is the hotel’s afternoon tea lounge, while The Butterfly Patisserie retails cakes, pastries, gelato and chocolates in a high-end jewellery atelier setting. 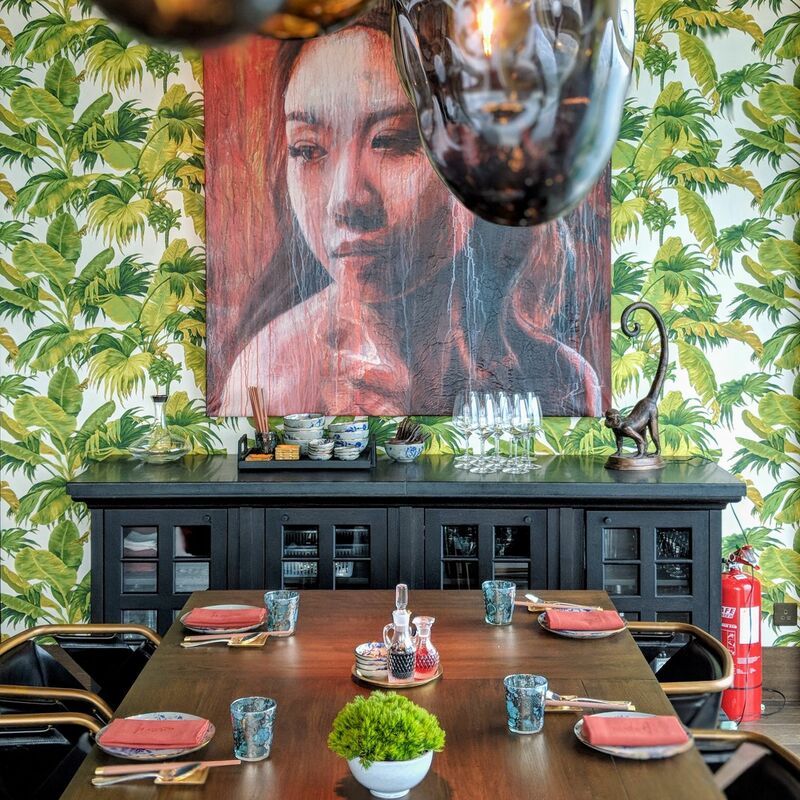 The hotel will eventually introduce further dining concepts which are scheduled to launch together with the opening of K11 Musea, a museum-retail complex. Only the above outlets were available during the hotel’s launch. Holt’s Cafe (Rosewood Hong Kong). 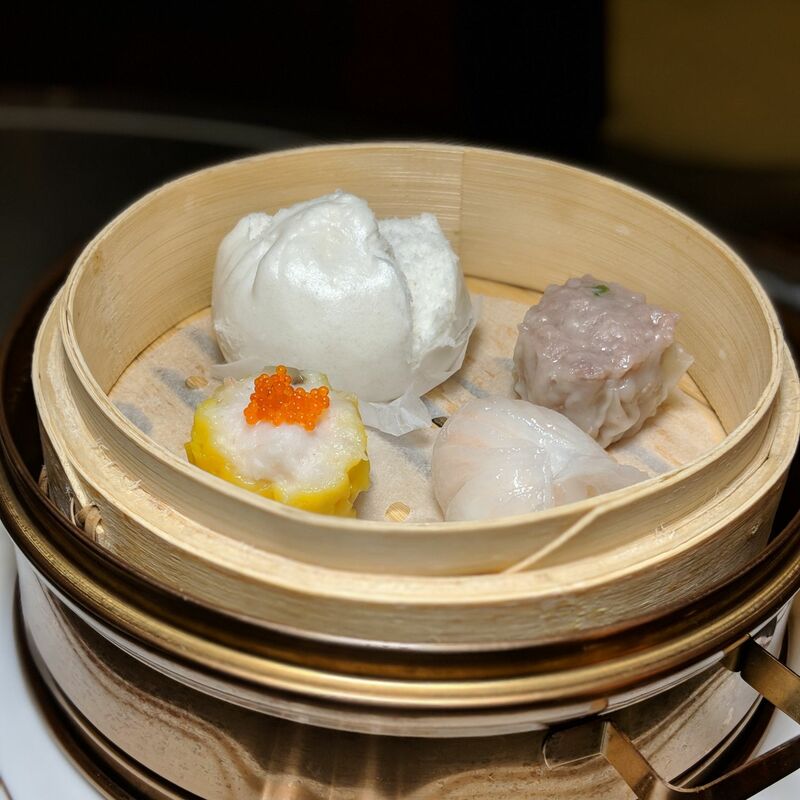 Assorted Dim Sum, Breakfast, Holt’s Cafe (Rosewood Hong Kong). Pan-fried Rice Roll with Soya Sauce, Breakfast, Holt’s Cafe (Rosewood Hong Kong). 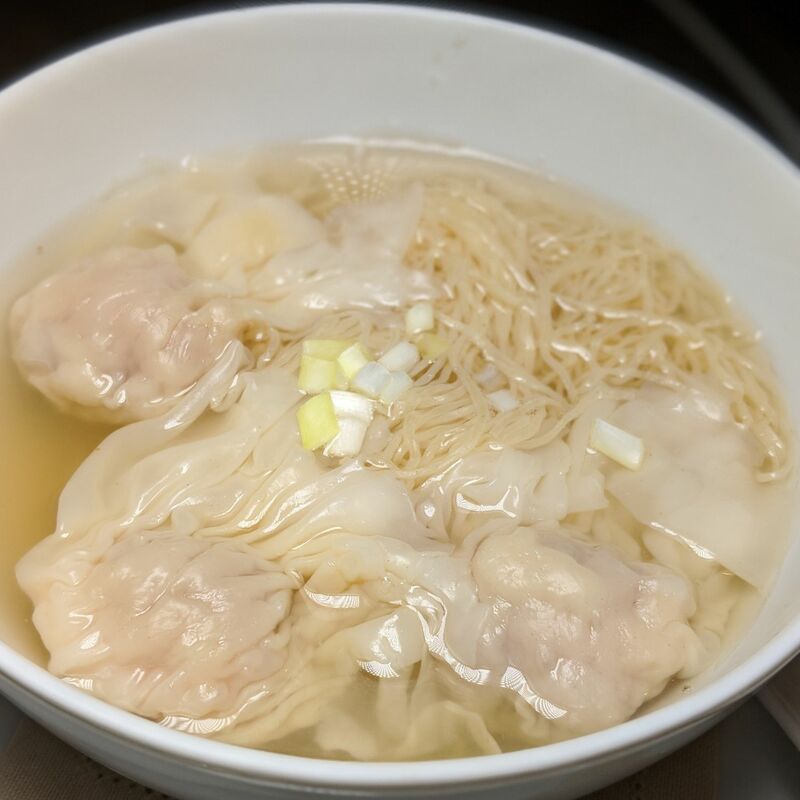 Wonton Noodle Soup, Breakfast, Holt’s Cafe (Rosewood Hong Kong). 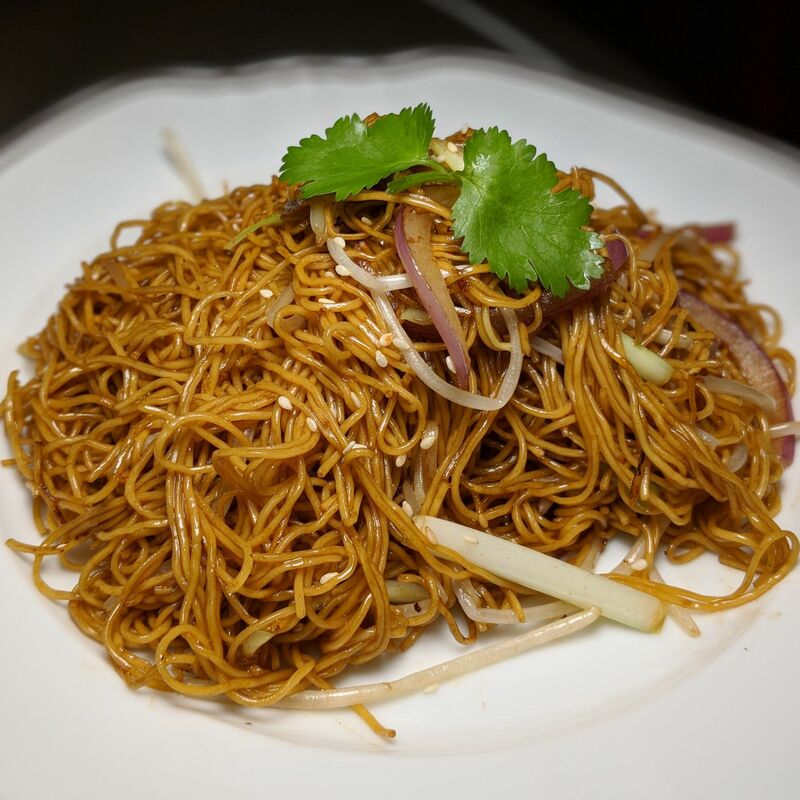 Chow Mien, Breakfast, Holt’s Cafe (Rosewood Hong Kong). 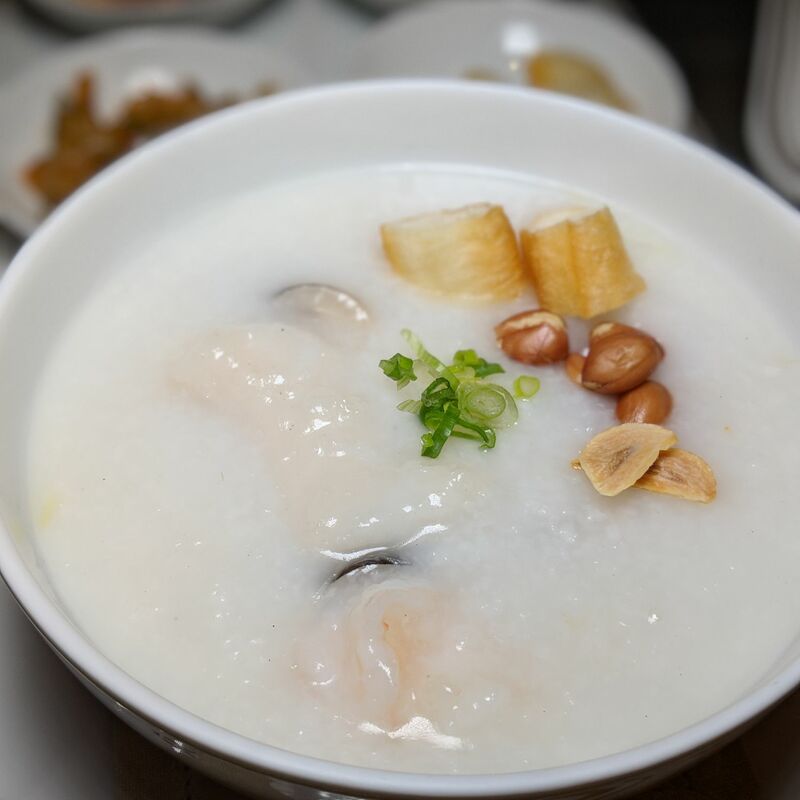 Seafood Rice Congee, Breakfast, Holt’s Cafe (Rosewood Hong Kong). 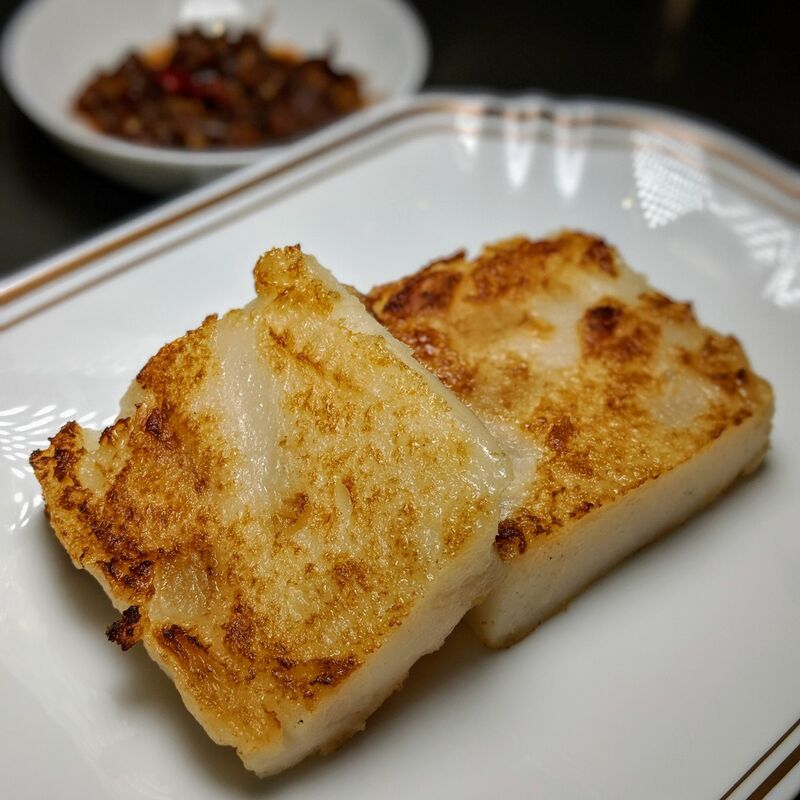 Pan-fried Turnip Cake with XO Sauce, Breakfast, Holt’s Cafe (Rosewood Hong Kong). XO Sauce, Breakfast, Holt’s Cafe (Rosewood Hong Kong). The Legacy House (Rosewood Hong Kong). Chef’s Signature Barbecued Combination, The Legacy House (Rosewood Hong Kong). 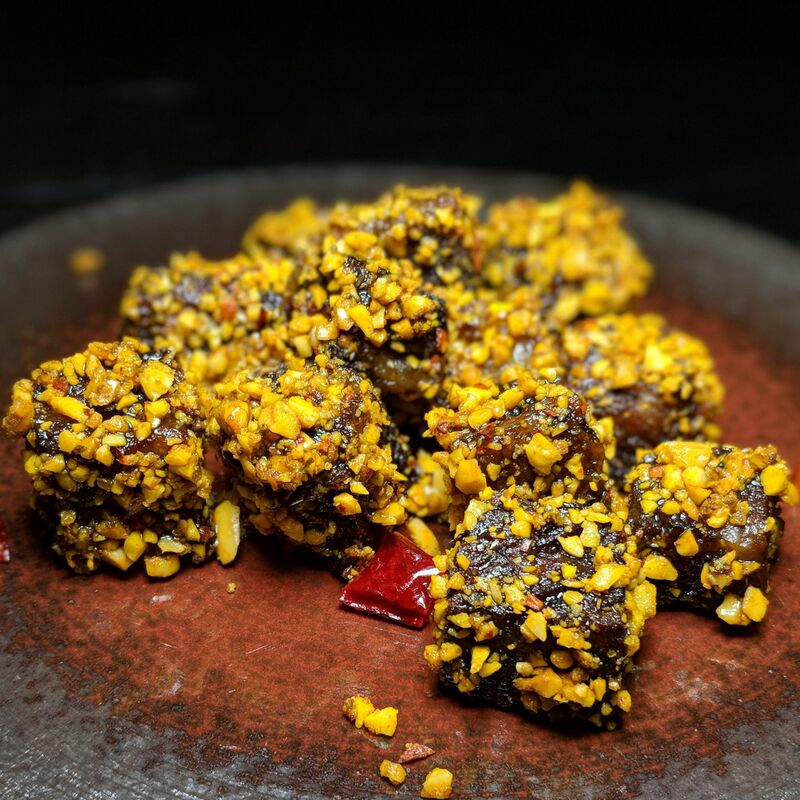 Deep-Fried Spicy Beef with Nuts, The Legacy House (Rosewood Hong Kong). 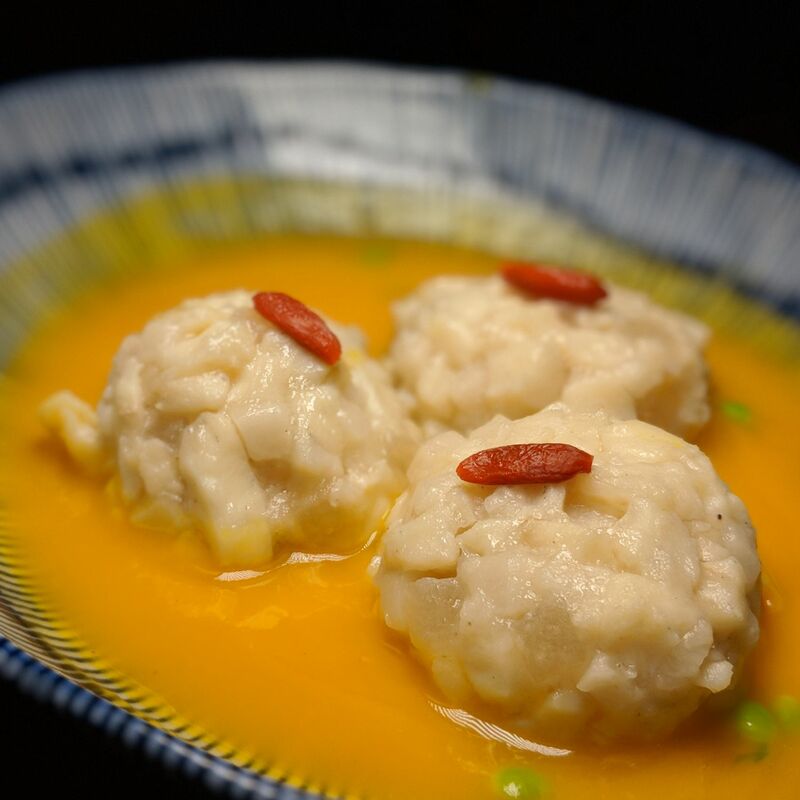 Braised Fish Ball, Minced Pork, Turnip Pumpkin Sauce, The Legacy House (Rosewood Hong Kong). 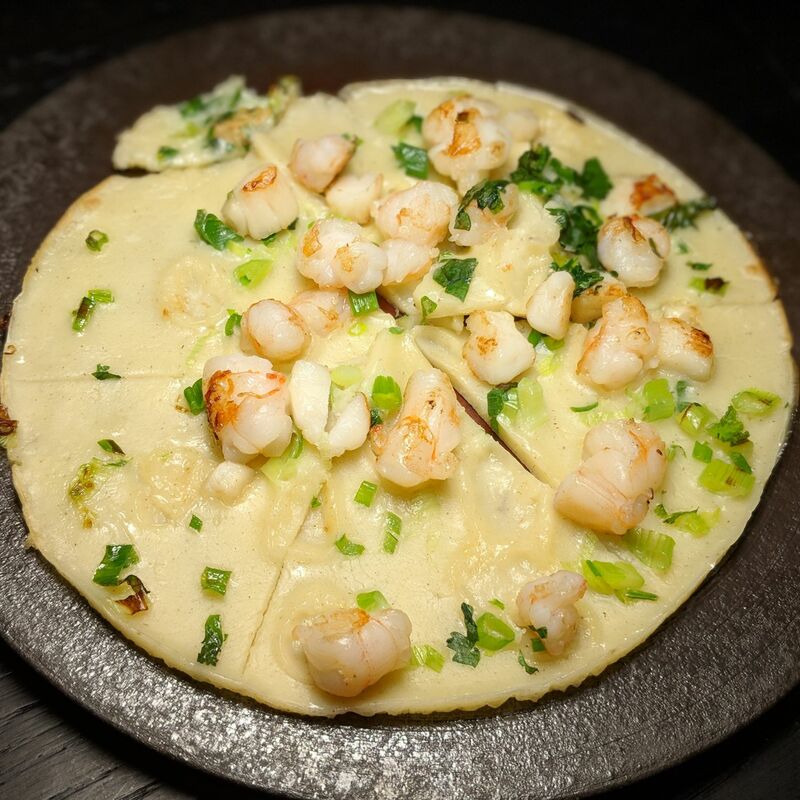 Pan-fried Seafood Pancake, The Legacy House (Rosewood Hong Kong). 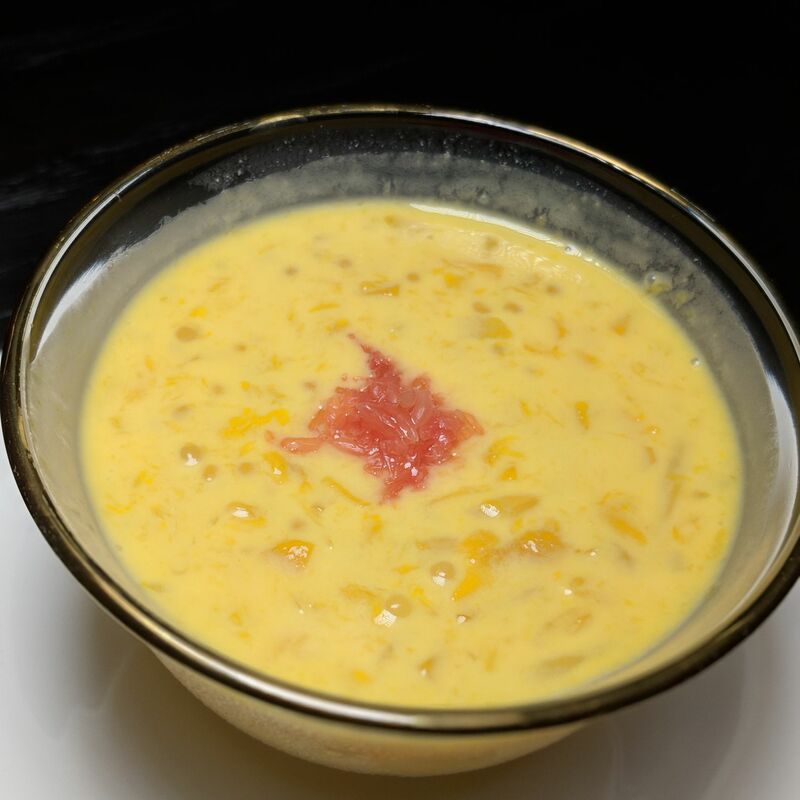 Chilled Sago, Mango and Pomelo, The Legacy House (Rosewood Hong Kong). 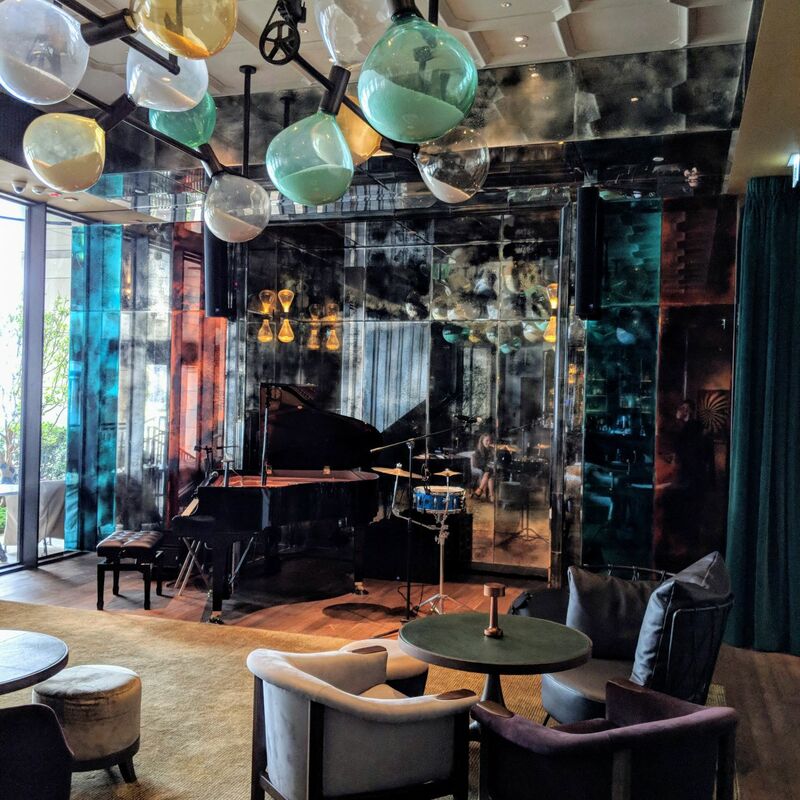 Wu Tou, The Legacy House (Rosewood Hong Kong). 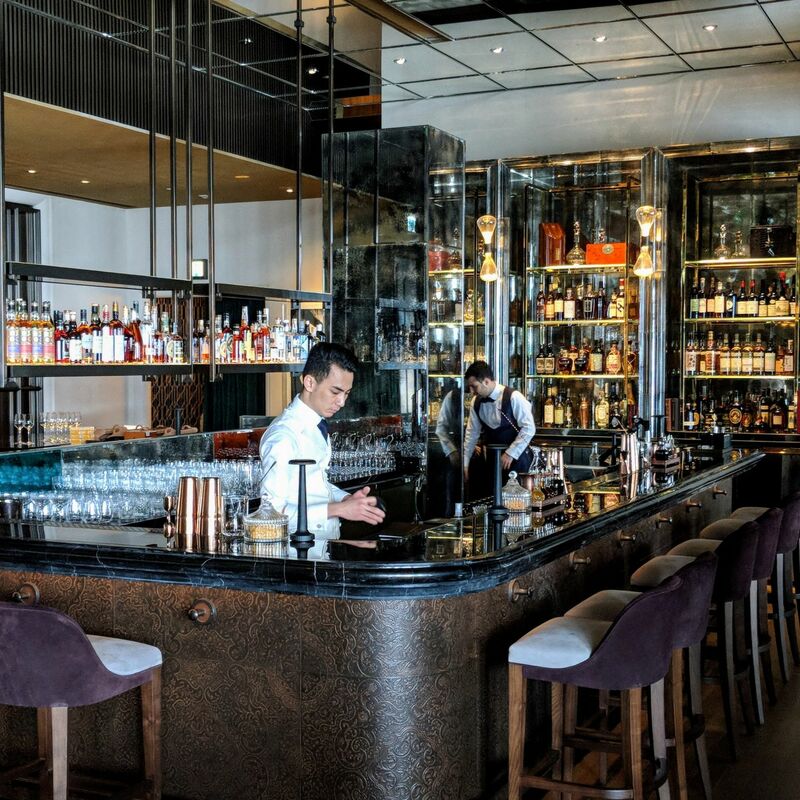 The Yamen, DarkSide (Rosewood Hong Kong). The Butterfly Room (Rosewood Hong Kong). 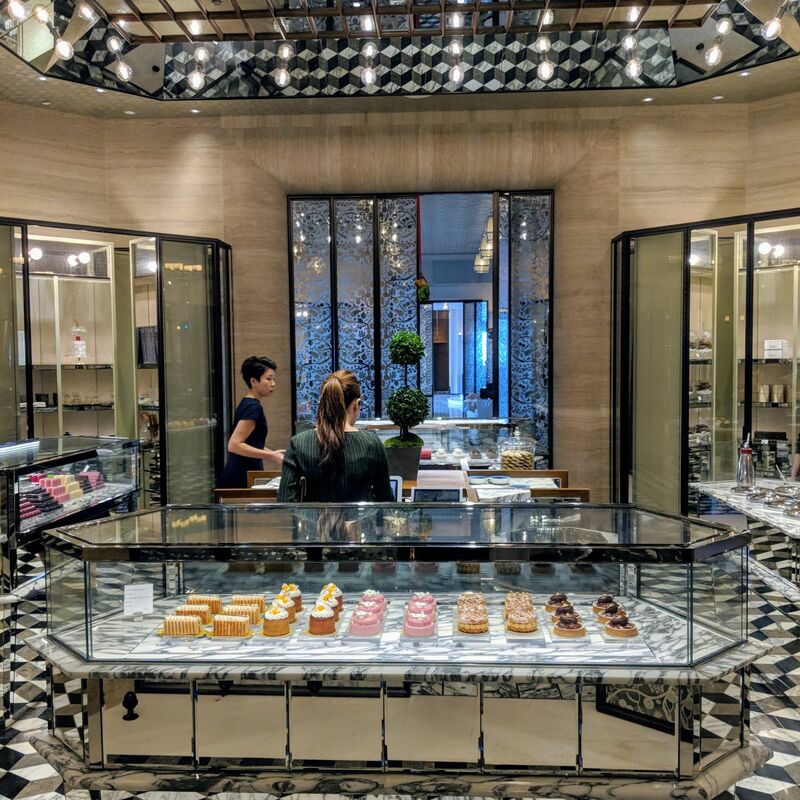 The Butterfly Patisserie (Rosewood Hong Kong). 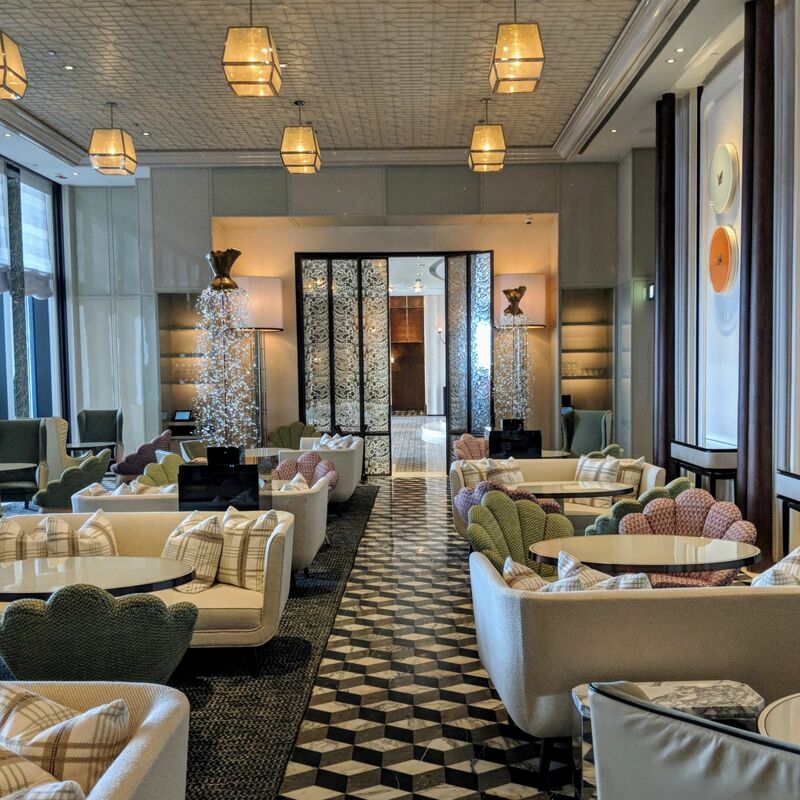 Located on the 40th floor, the Manor Club is an exclusive lounge available to guests on executive floors. 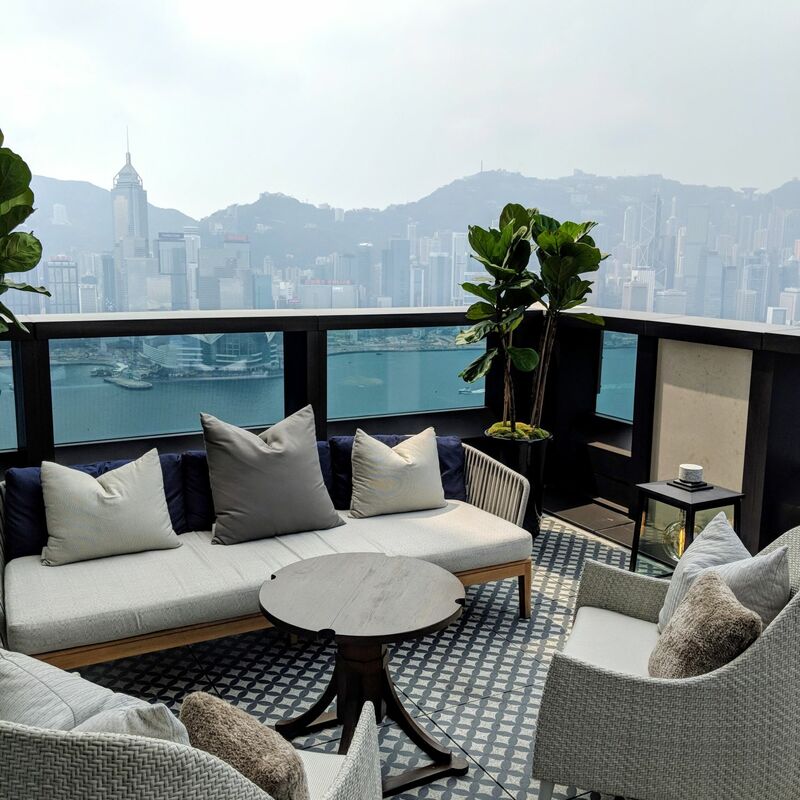 Overlooking the Victoria Harbour and ringed by outdoor terraces, the Manor Club serves as a social space for the hotel’s most esteemed guests. 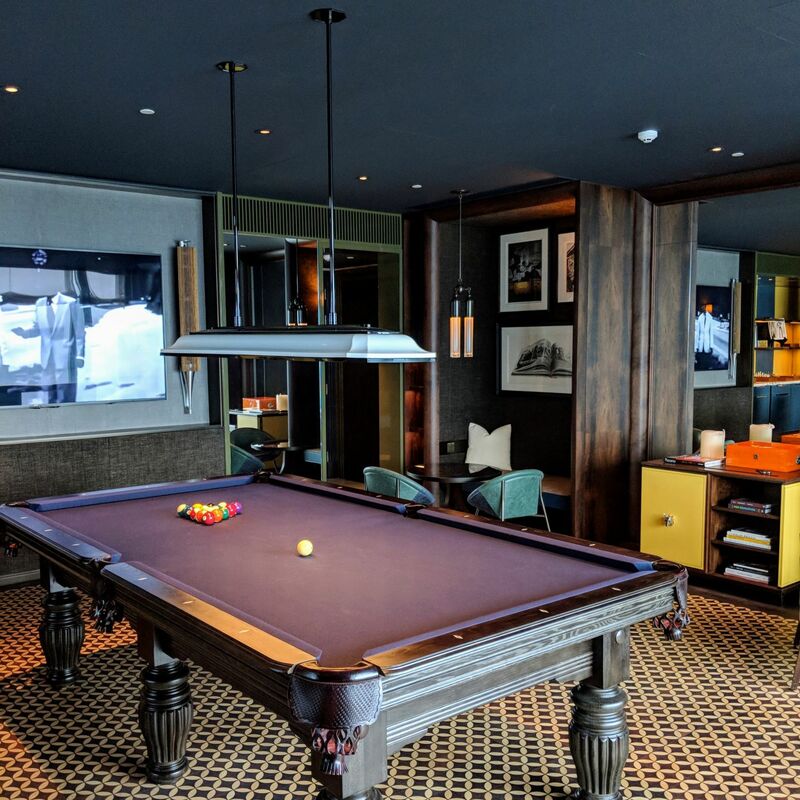 Apart from various food presentations – breakfast, afternoon tea and evening cocktails – and handcrafted beverages served throughout the day, the club also offers a dedicated bar as well as a games room with a pool table, with both elements evoking serious exclusive gentleman’s club feels. The three-hour long evening cocktail presentation was sensational. 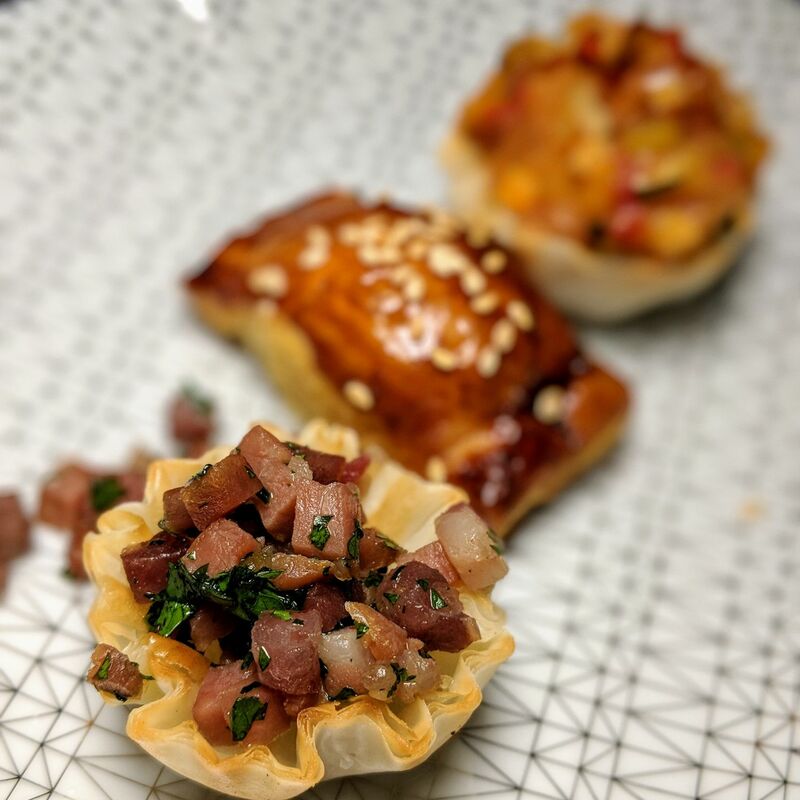 The food offerings were undeniably good – aside from cold cuts, canapes, cheese options and delectable sweet treats which came across more patisserie than club lounge, guests had a choice of a la minute mains from the hot food counter. 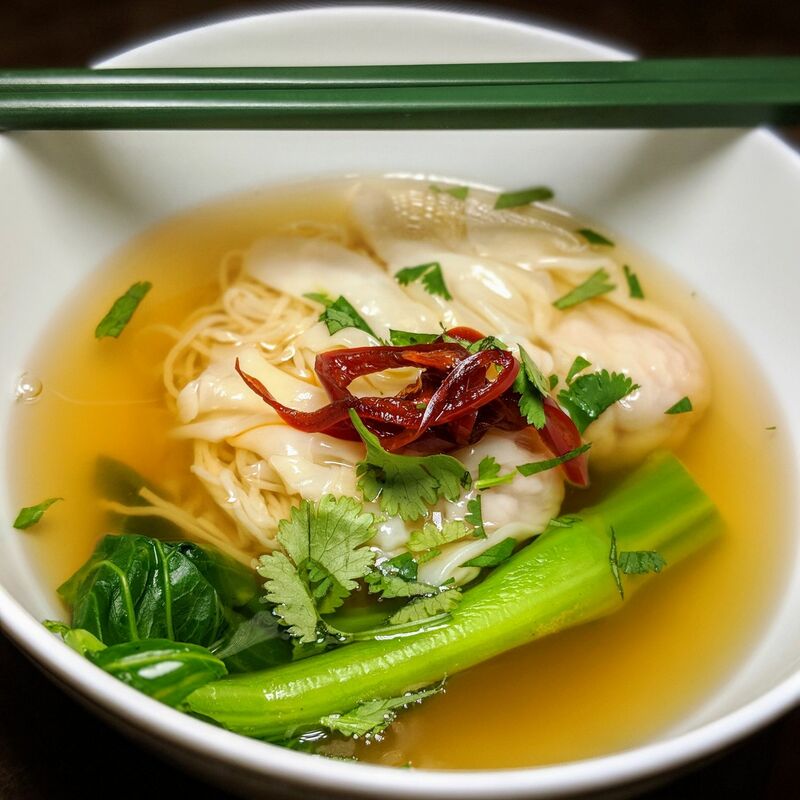 During my visit, I had pesto gnocchi and wonton noodle soup, and I was duly impressed by the sheer range of condiments available for the noodles, which included the wonderful housemade XO sauce I had at Holt’s Cafe. However, the bar experience was the revelation. 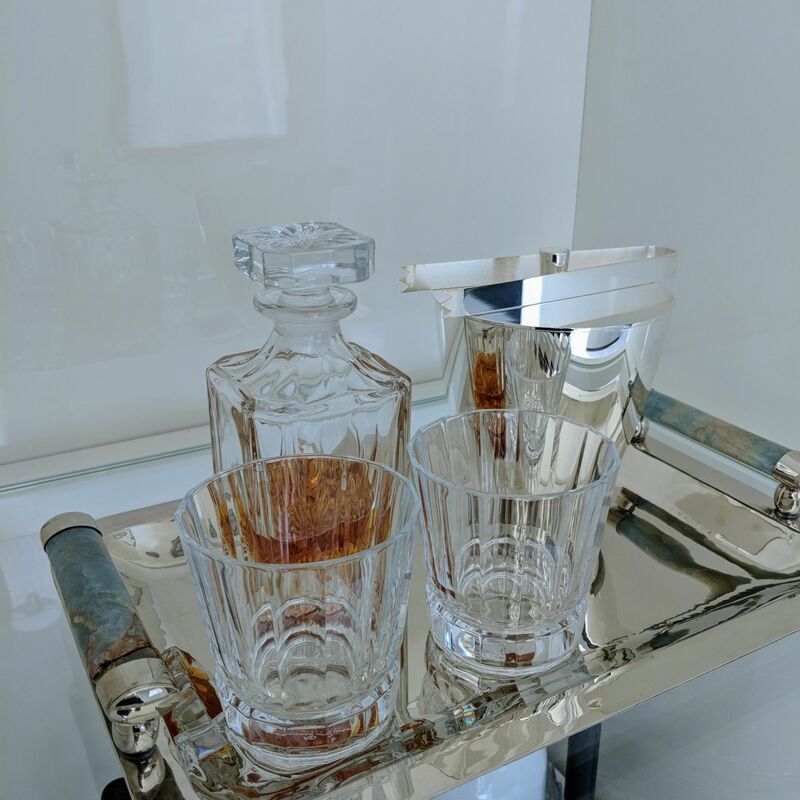 The classic cocktails served were indistinguishable from those served at proper cocktail bars, not just in appearance (courtesy of crystal-cut glass and the deep Rosewood Hong Kong branding on the ice cube) but also in terms of the quality of the tipples and the premium spirits and ingredients used. Aside from the cocktails offered on the menu, which include options from selected Rosewood hotels around the world (the one I tried, “Orbis Non Suffict”, hails from Rosewood London), the bar also serves bespoke cocktails, and I believe my liver processed five classic cocktails – loved the Negroni and Old Fashioned – during my first visit. These were probably the best cocktails I ever had from a hotel club lounge (and far superior to those I had from DarkSide, mind). Manor Club (Rosewood Hong Kong). 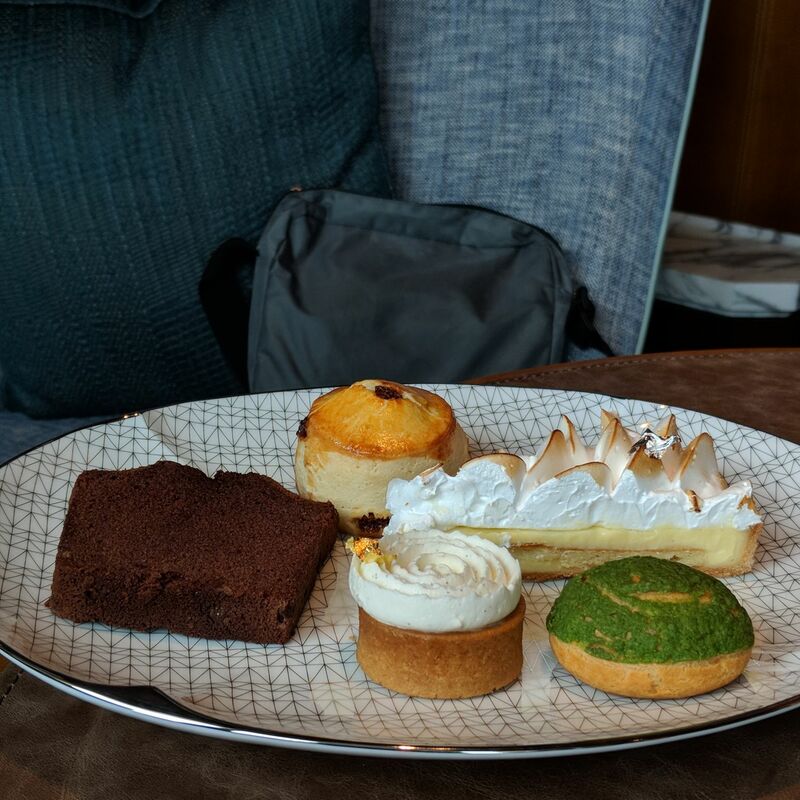 Afternoon Tea, Manor Club (Rosewood Hong Kong). 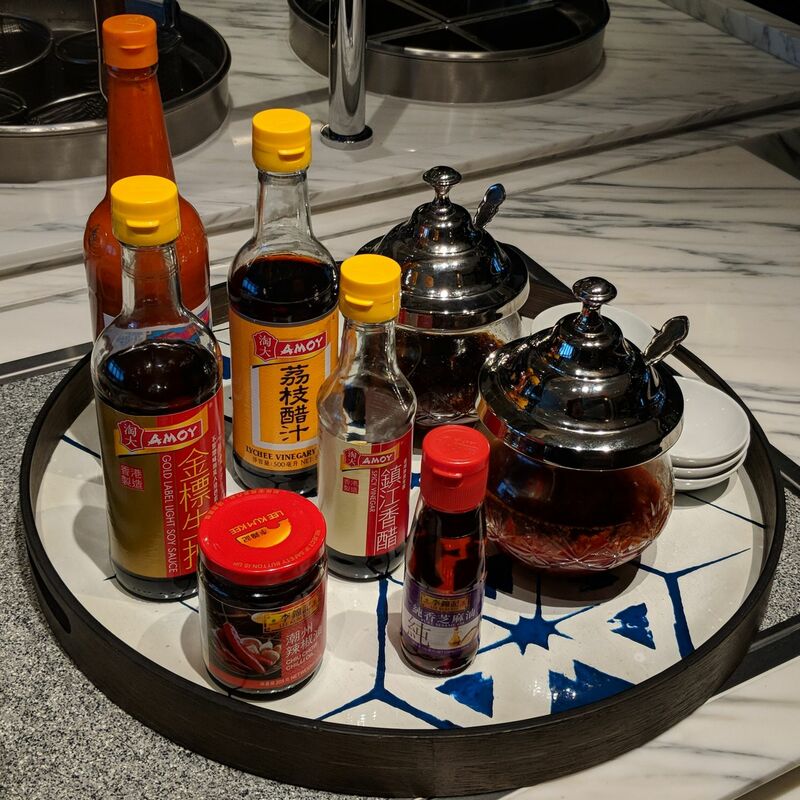 Condiments, Manor Club (Rosewood Hong Kong). 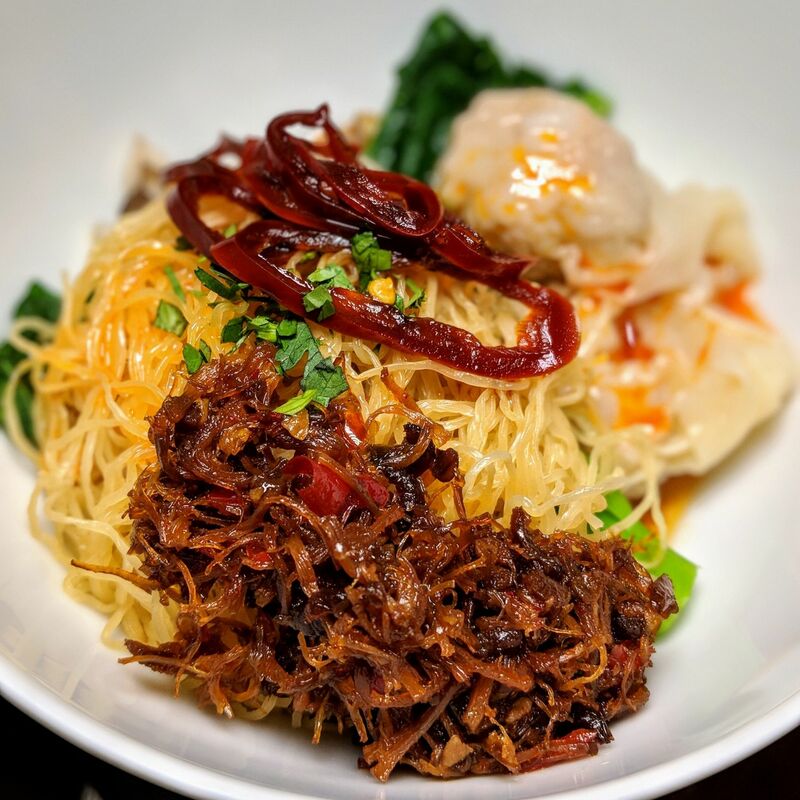 Wanton Noodles, Evening Cocktails, Manor Club (Rosewood Hong Kong). 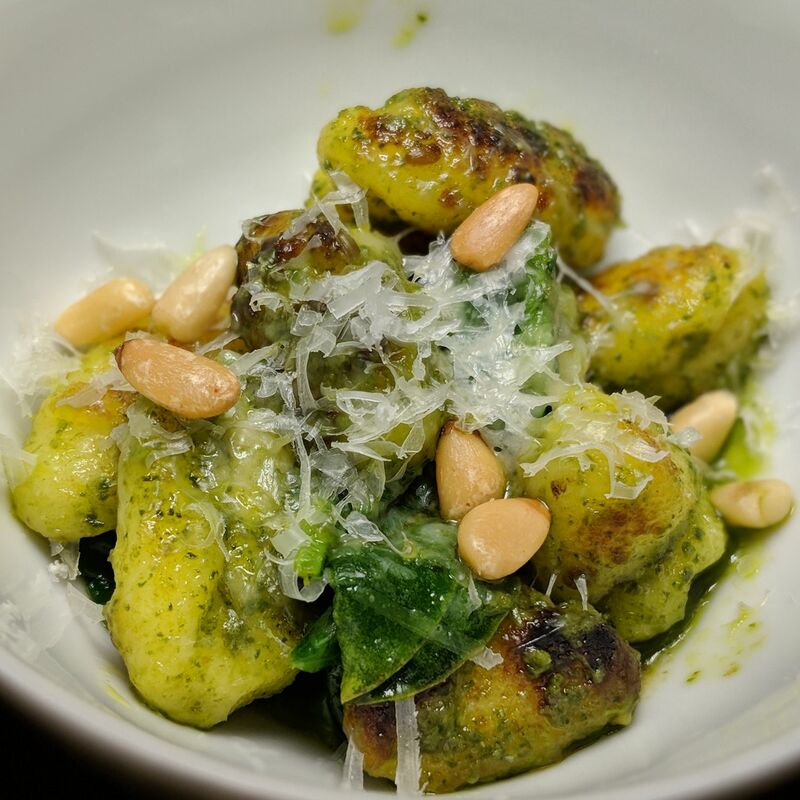 Pesto Gnocchi, Evening Cocktails, Manor Club (Rosewood Hong Kong). Canapes, Evening Cocktails, Manor Club (Rosewood Hong Kong). 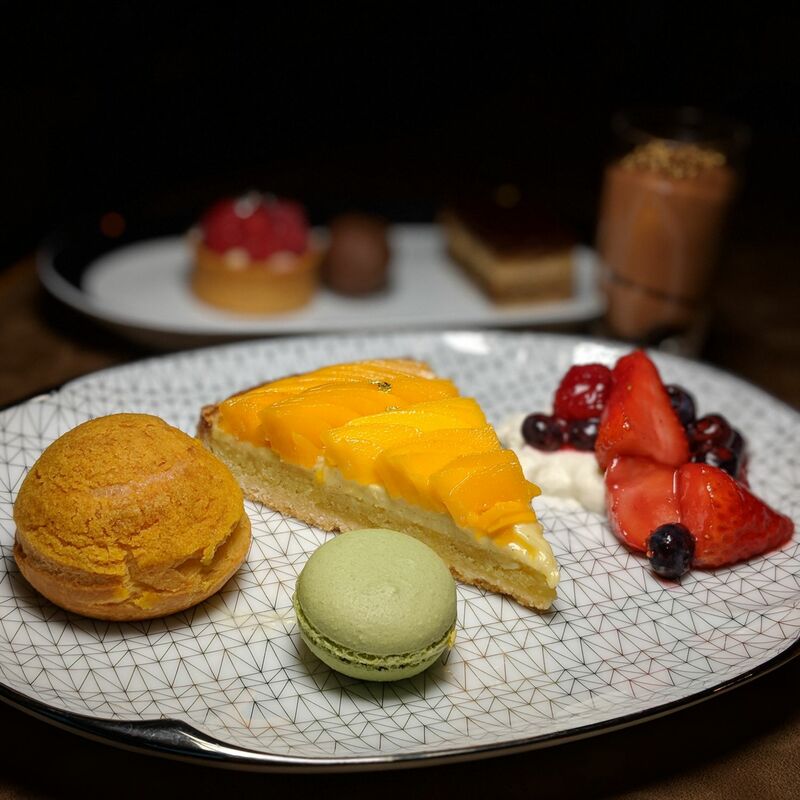 Desserts, Evening Cocktails, Manor Club (Rosewood Hong Kong). 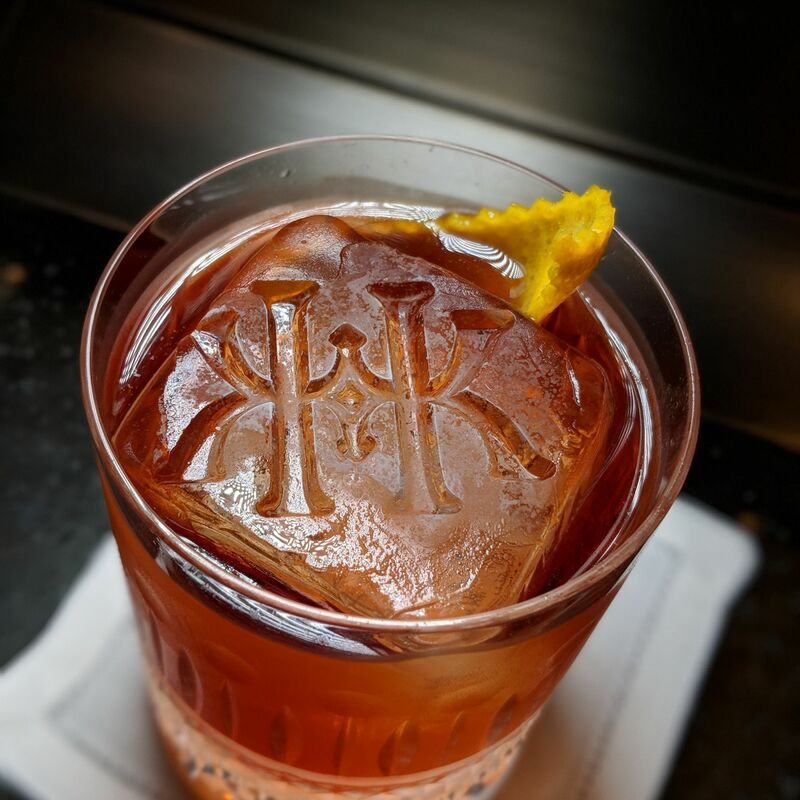 Negroni, Evening Cocktails, Manor Club (Rosewood Hong Kong). 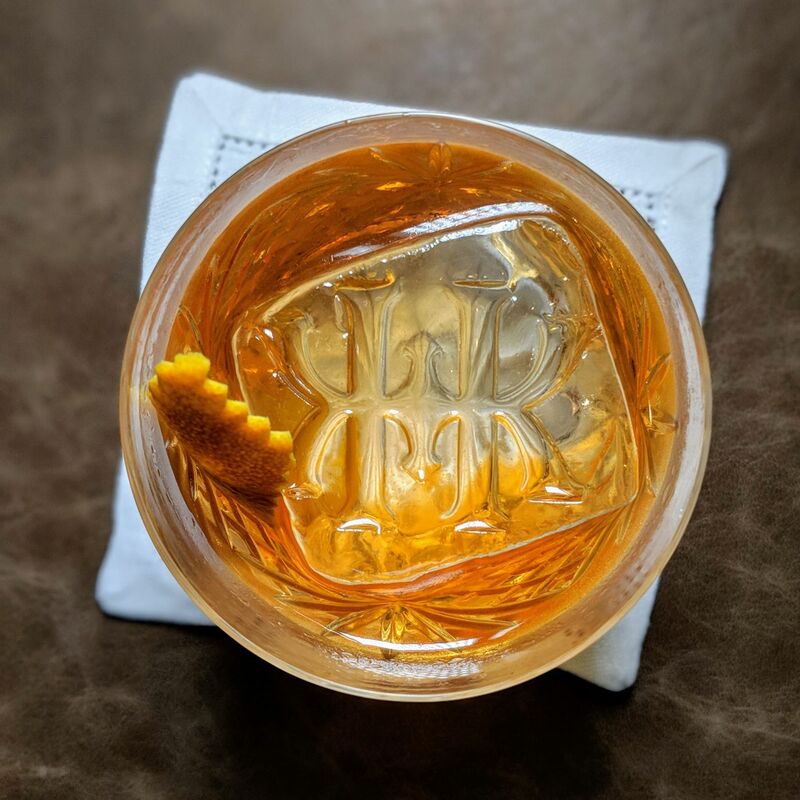 Old Fashioned, Evening Cocktails, Manor Club (Rosewood Hong Kong). 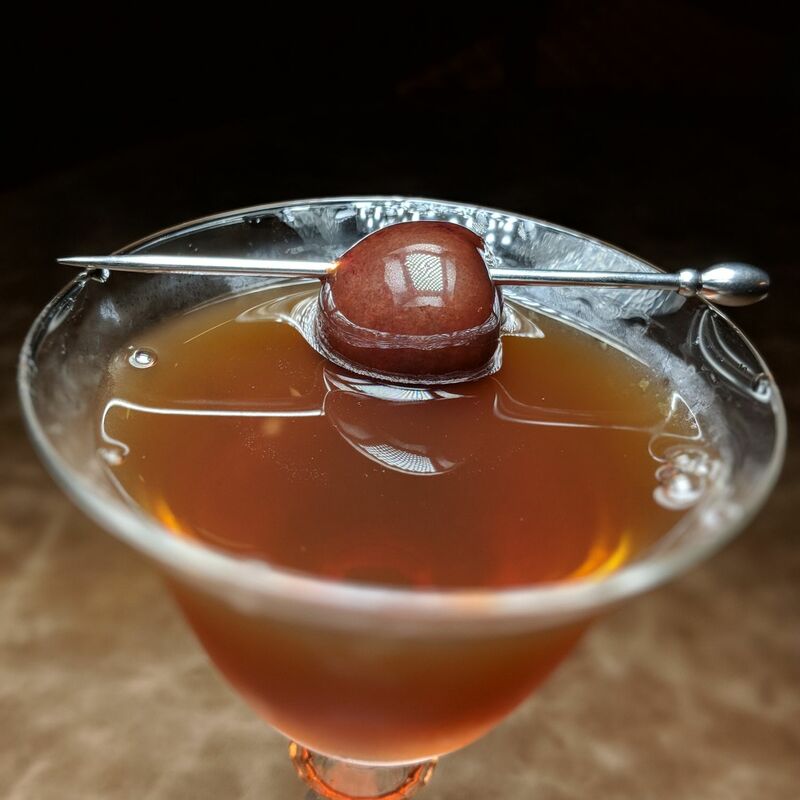 Orbis Non Suffict, Evening Cocktails, Manor Club (Rosewood Hong Kong). 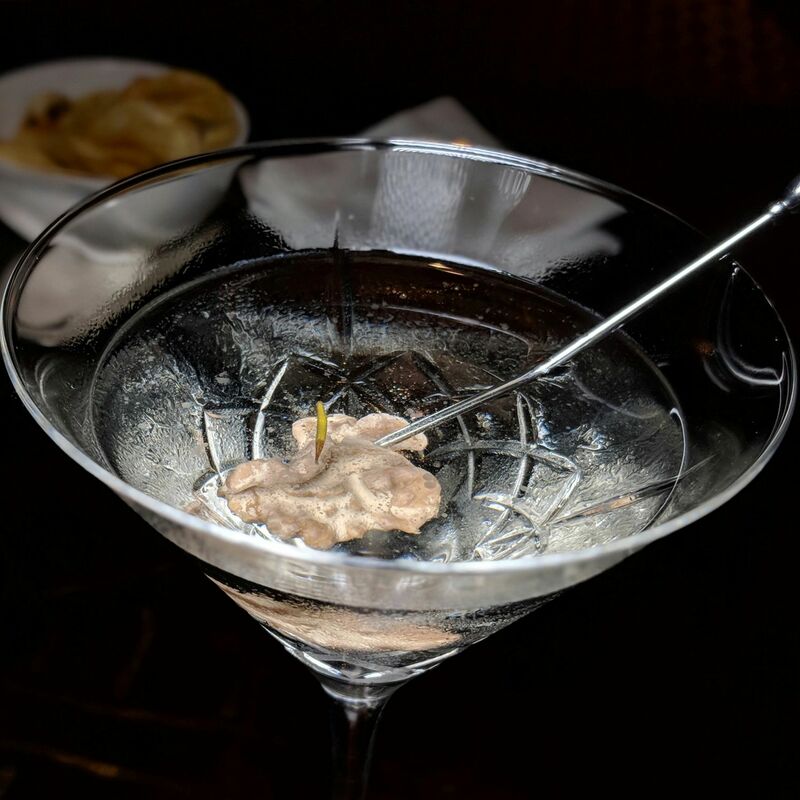 Manhattan, Evening Cocktails, Manor Club (Rosewood Hong Kong). This was my first Rosewood experience, and I must confess that prior to my stay, I did not know what to make of the Rosewood brand, which seems to capture the essence of so many other brands – the old-world sophistication and glamour of Four Seasons and The Ritz-Carlton, the dedication to wellness of Six Senses, and the tribute to and inspiration from locales of Aman and Andaz. However, the Rosewood product seems to transcend these categories, and if anything, the brand incorporates the greatest bits of these brands into their own integrated brand offering. 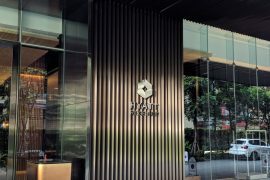 The closest I have even been to such unparalleled ultra-luxury was my recent stay at Aman Tokyo. 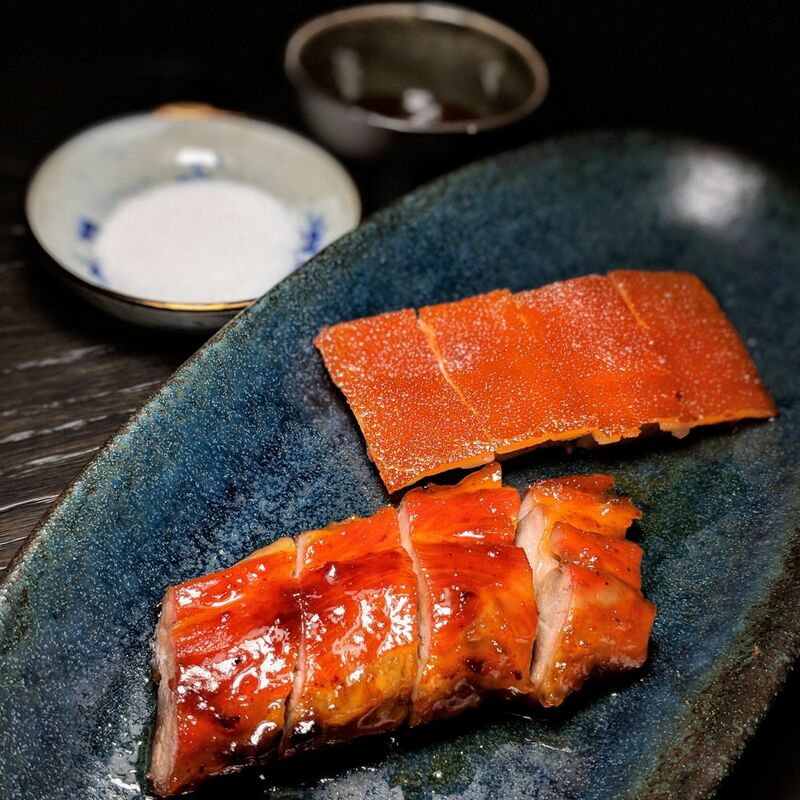 Both experiences are so vastly different – Aman Tokyo’s offering is more ethereal and zen whilst Rosewood Hong Kong plays it more old-world regal – yet both provide its own distinctive escapist fantasy experience. 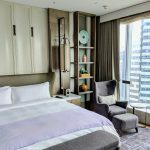 There are so many other Rosewood properties out there – I have plans to visit Rosewood Bangkok when they launch in two weeks’ time – but I fear I may have been irretrievably spoilt by Rosewood Hong Kong.